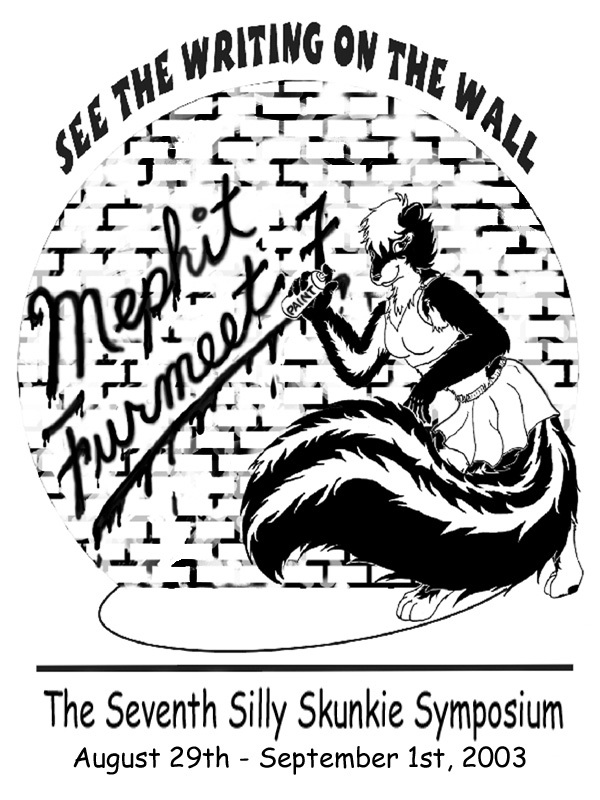 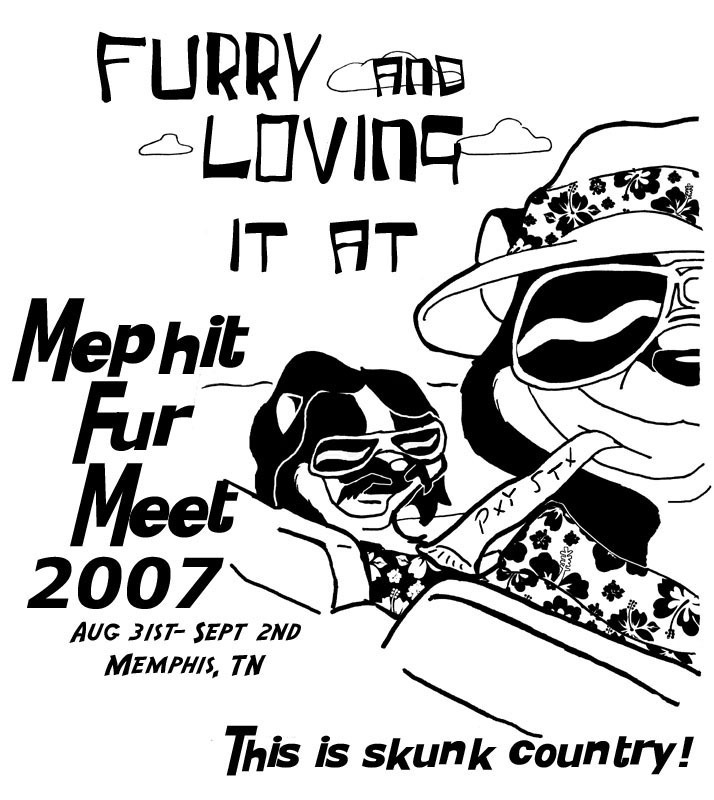 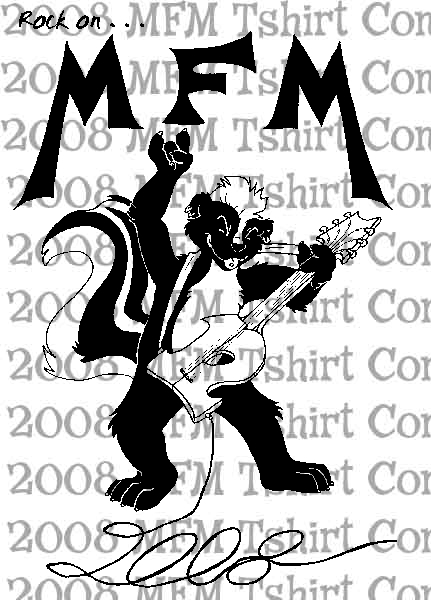 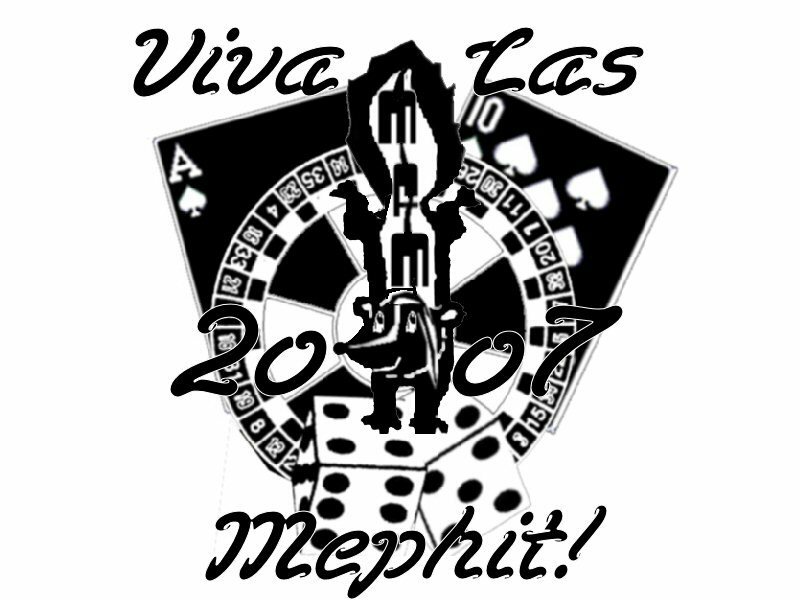 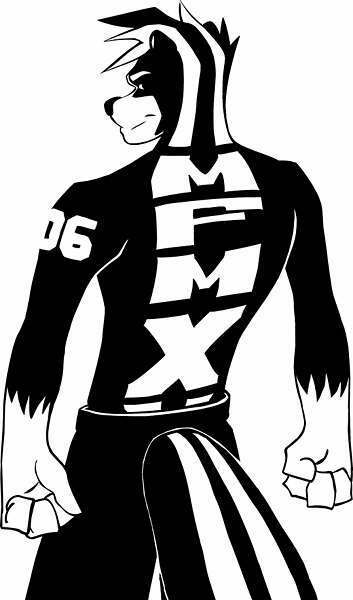 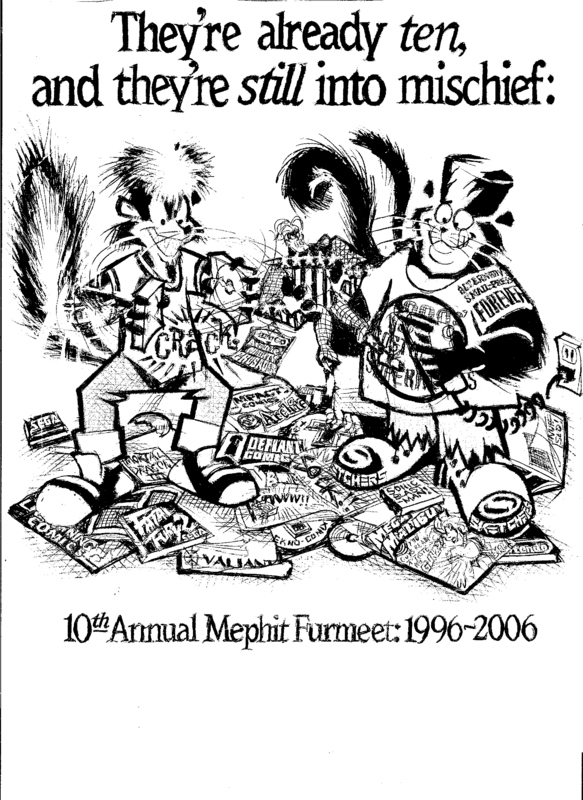 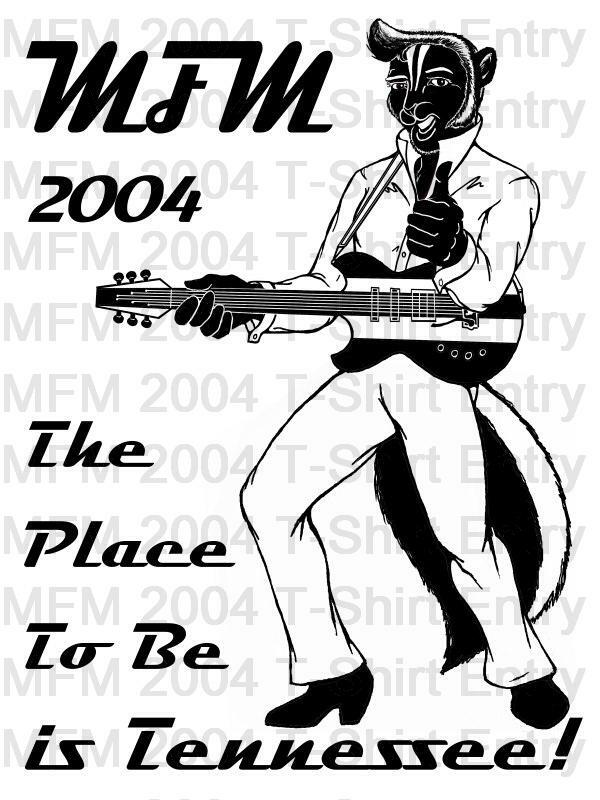 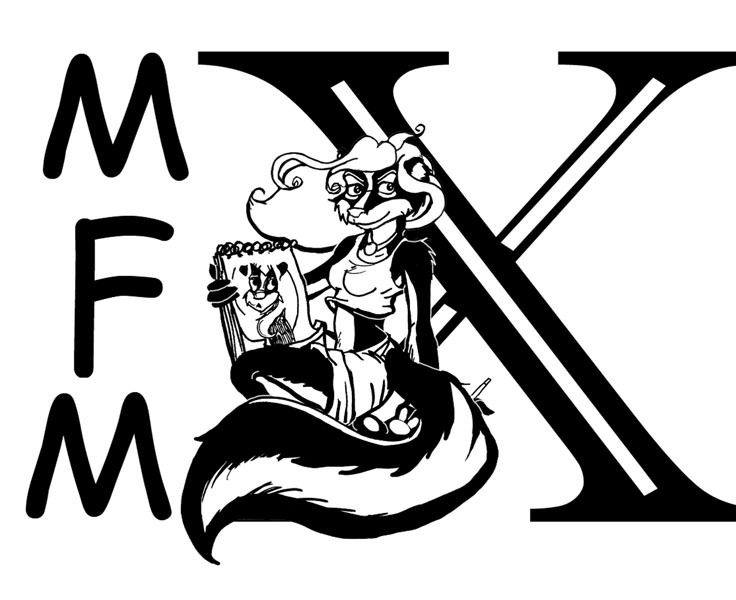 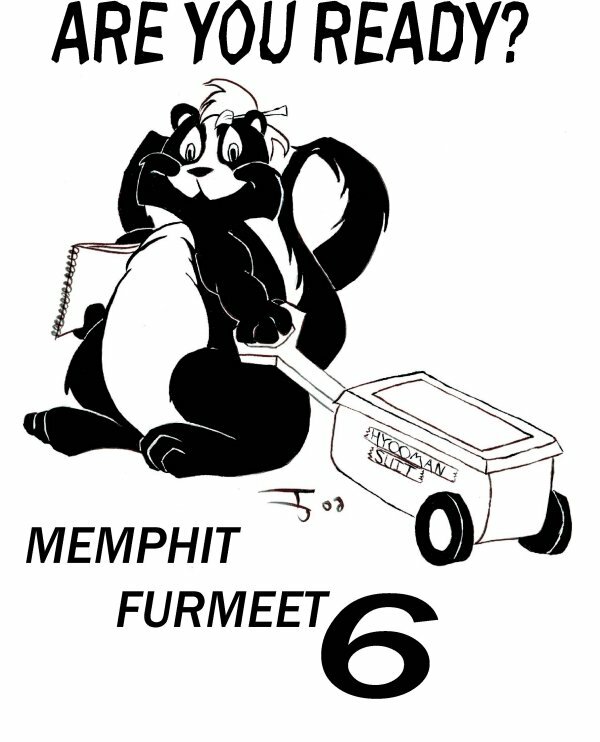 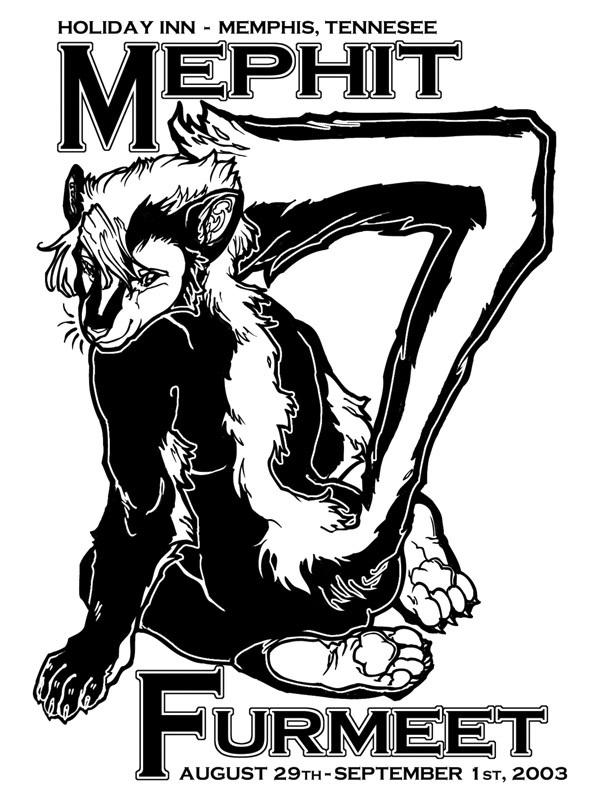 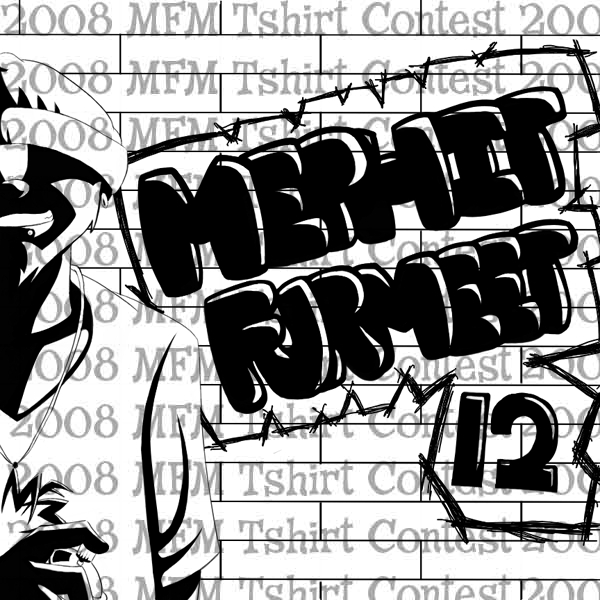 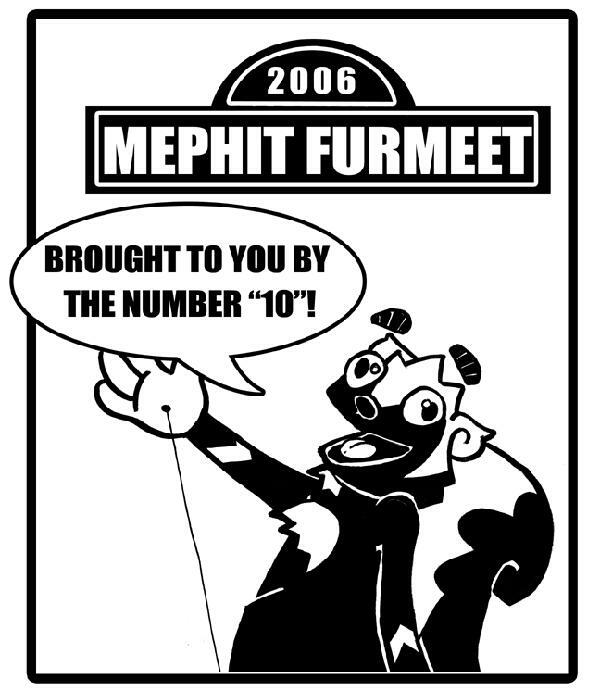 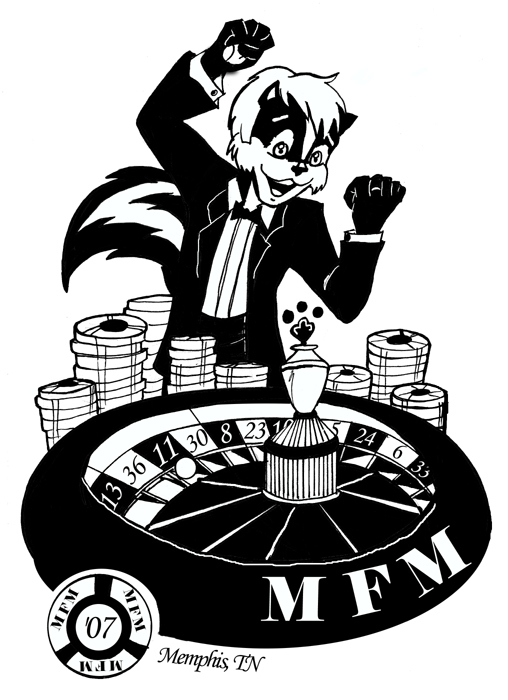 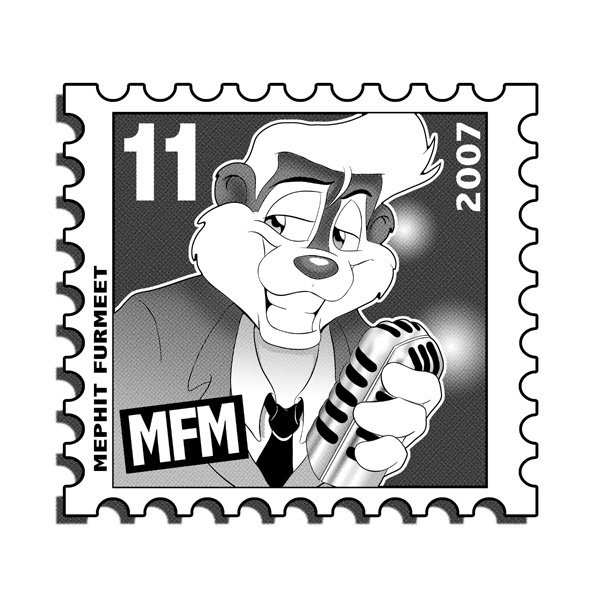 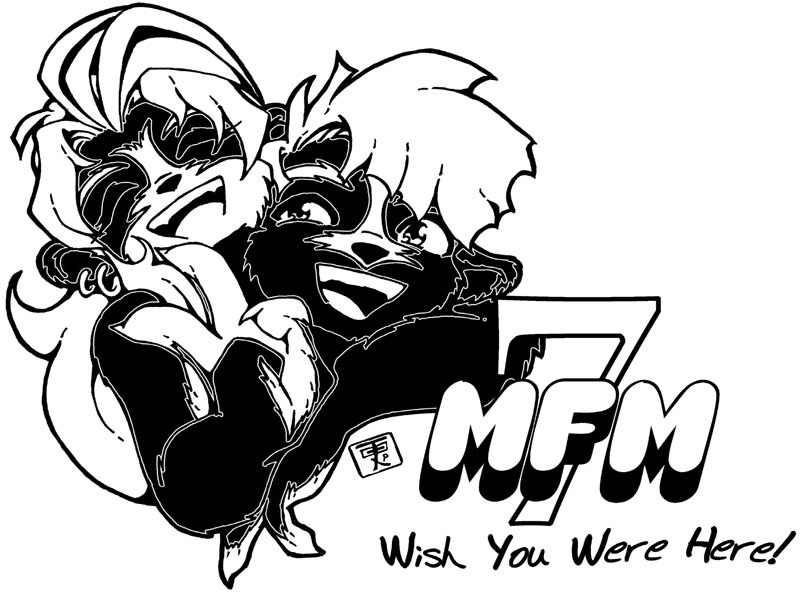 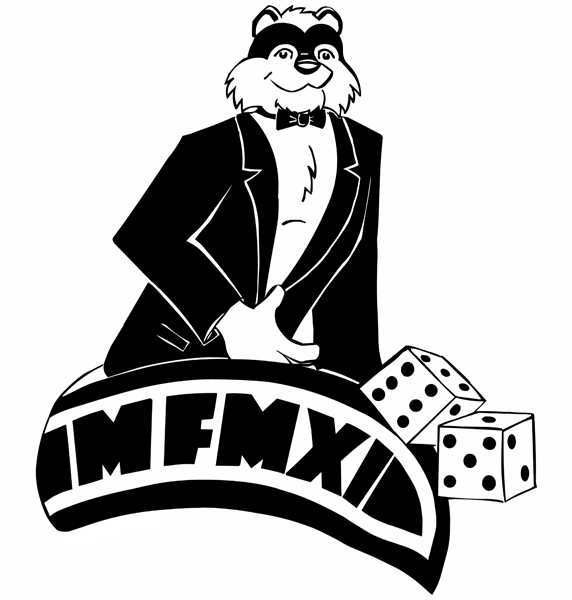 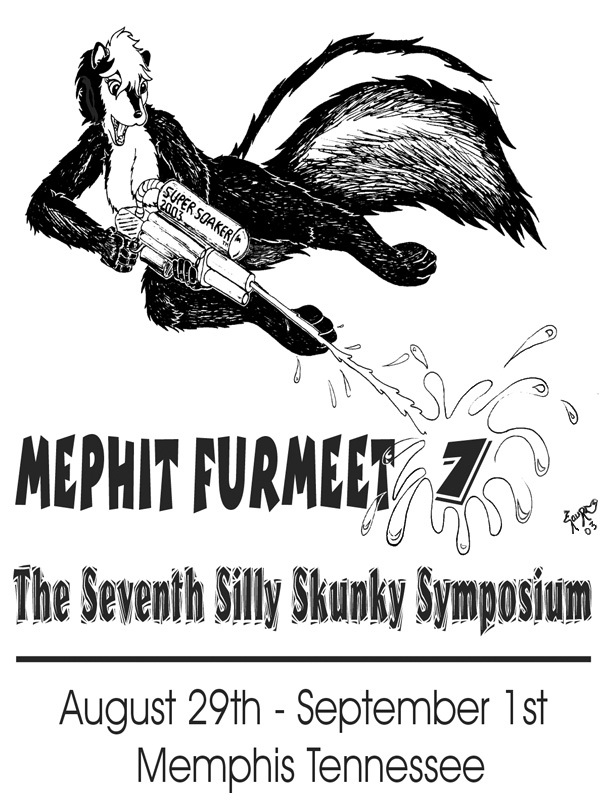 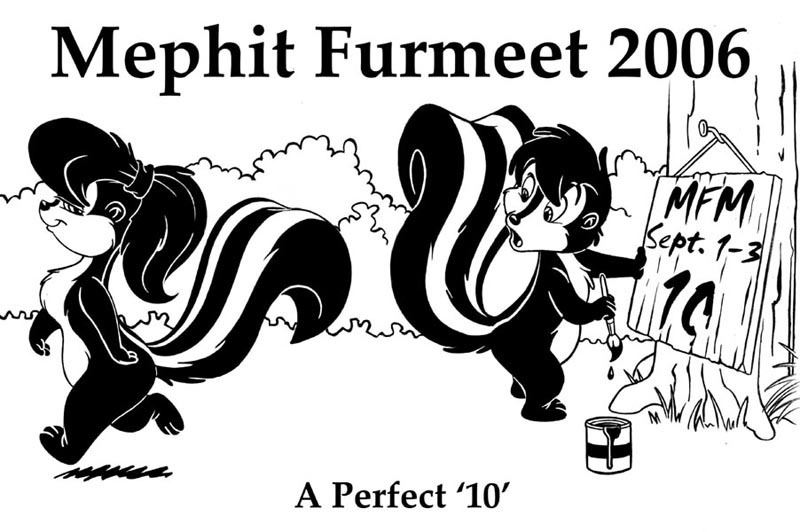 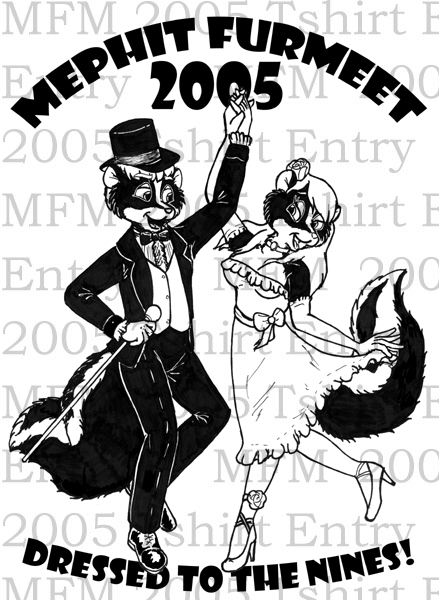 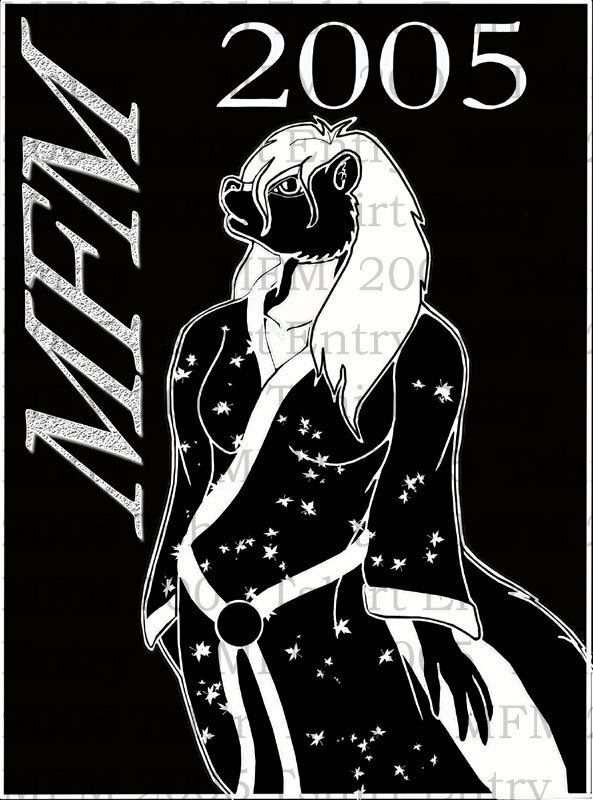 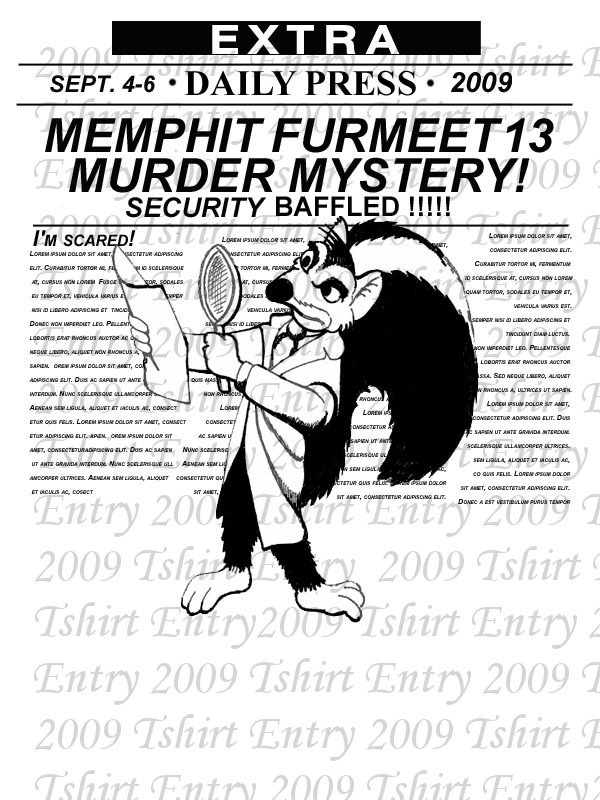 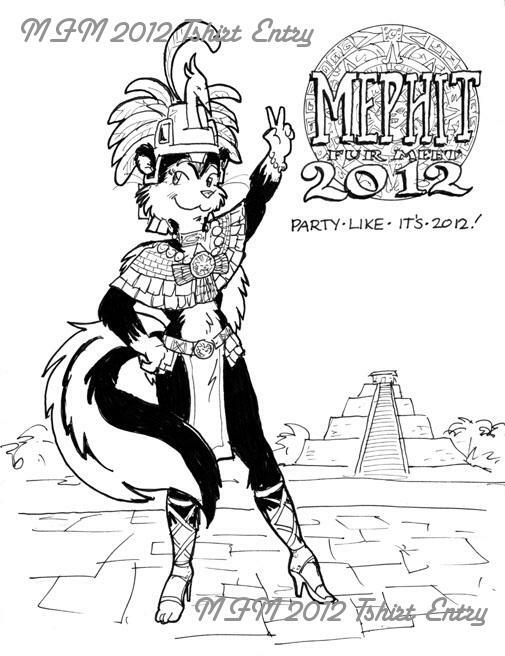 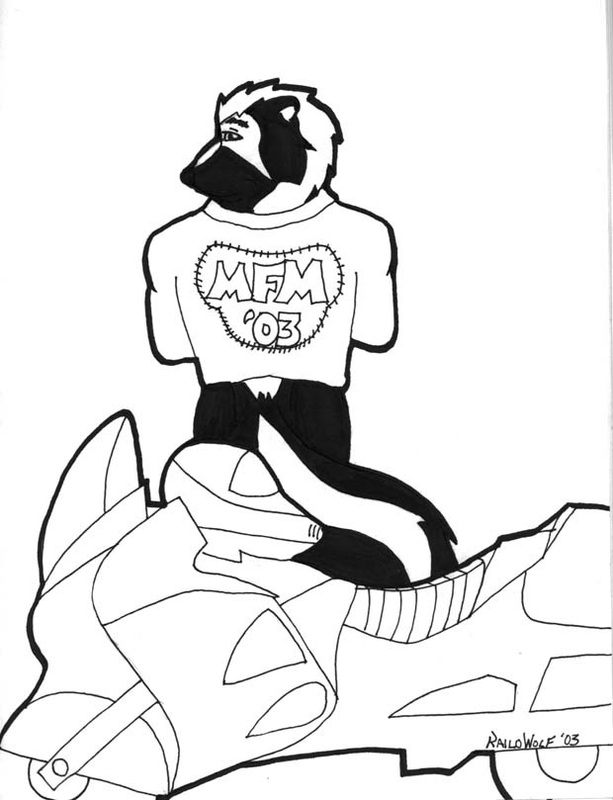 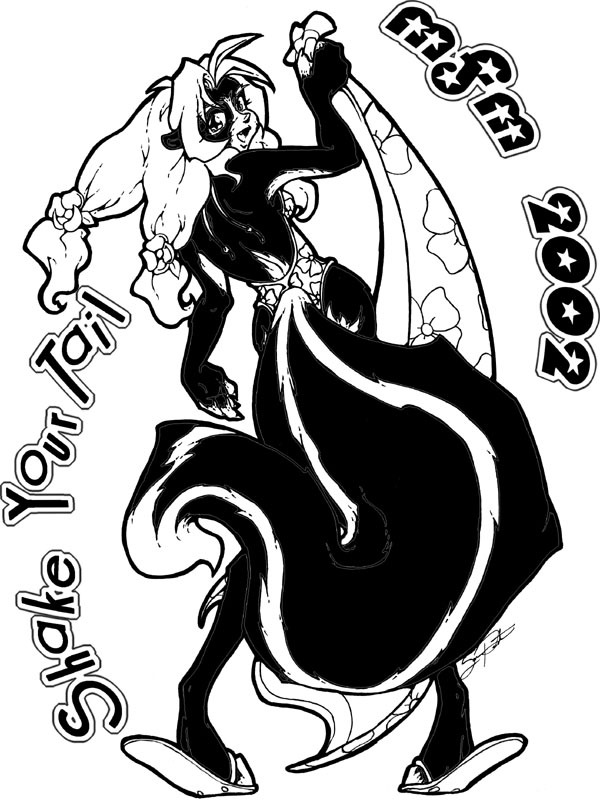 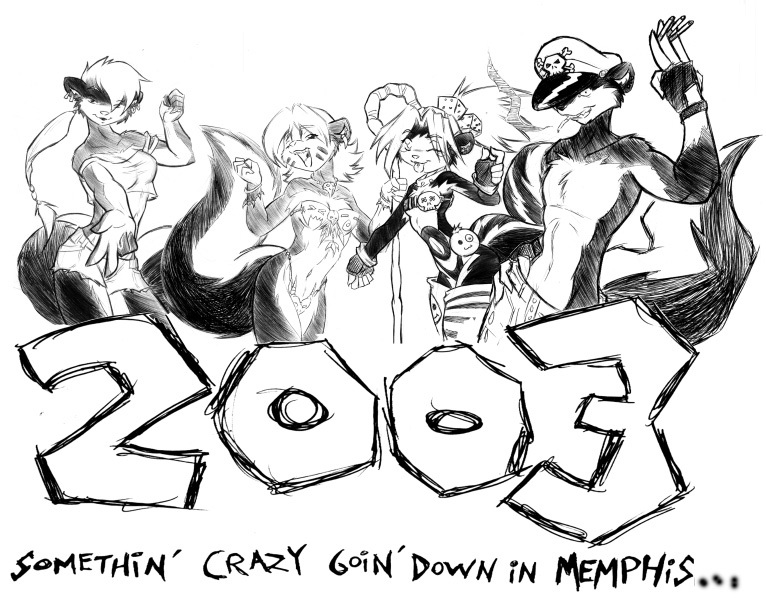 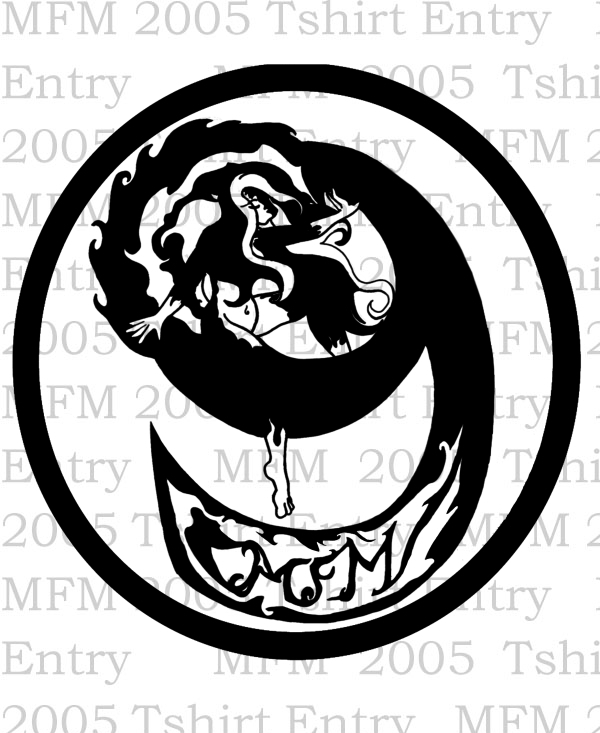 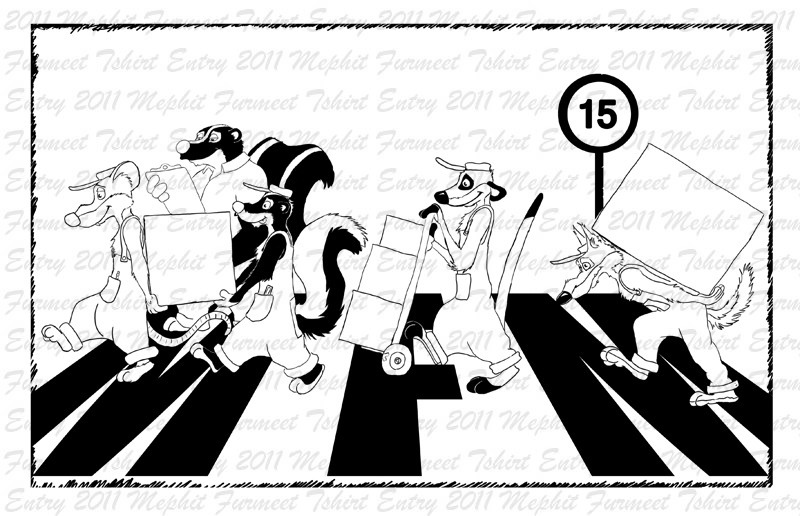 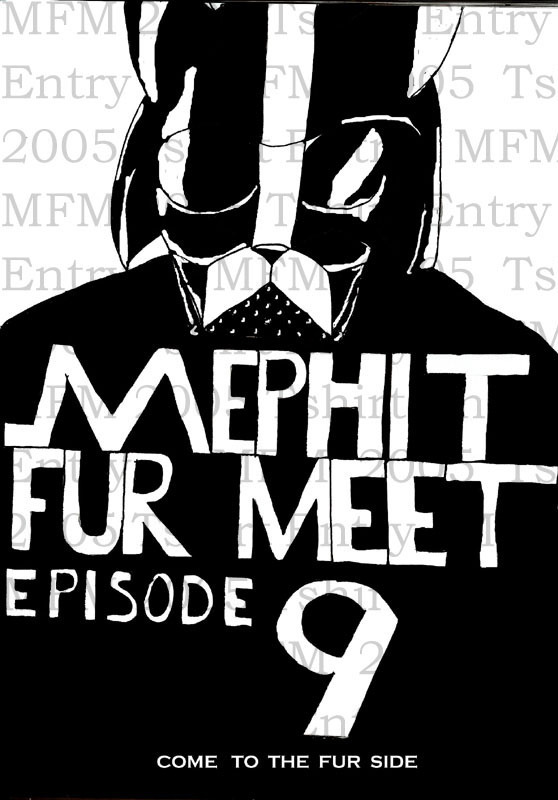 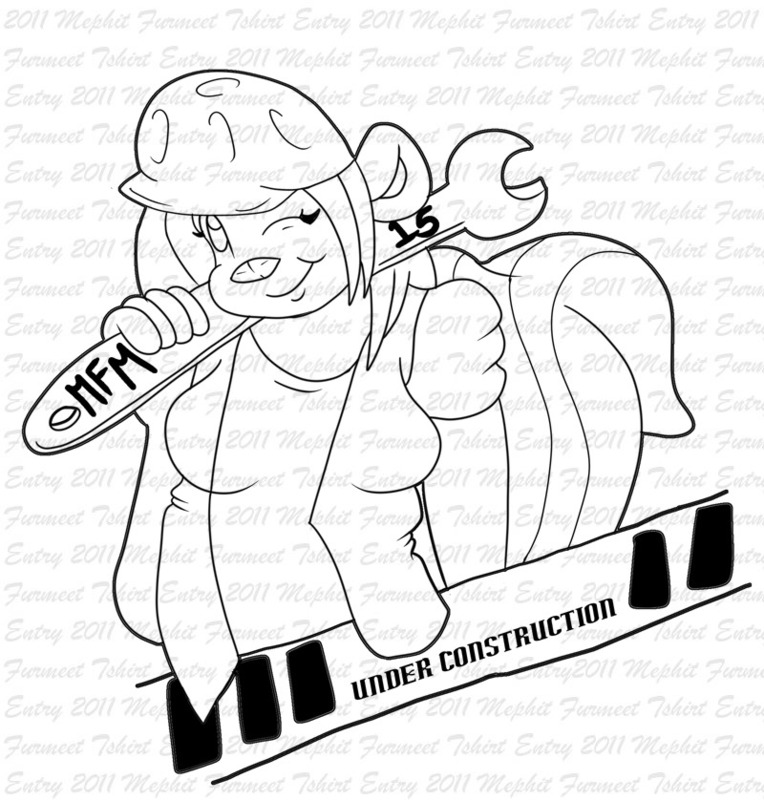 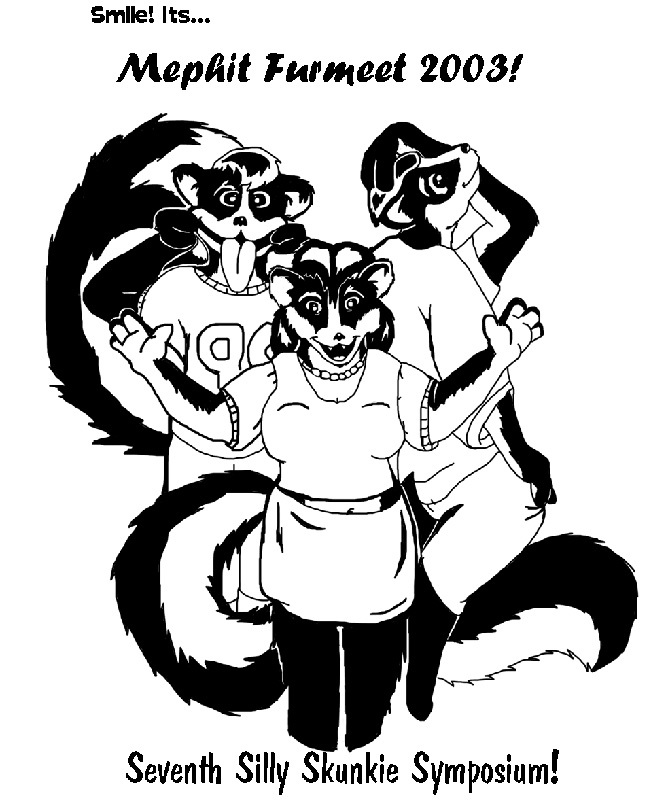 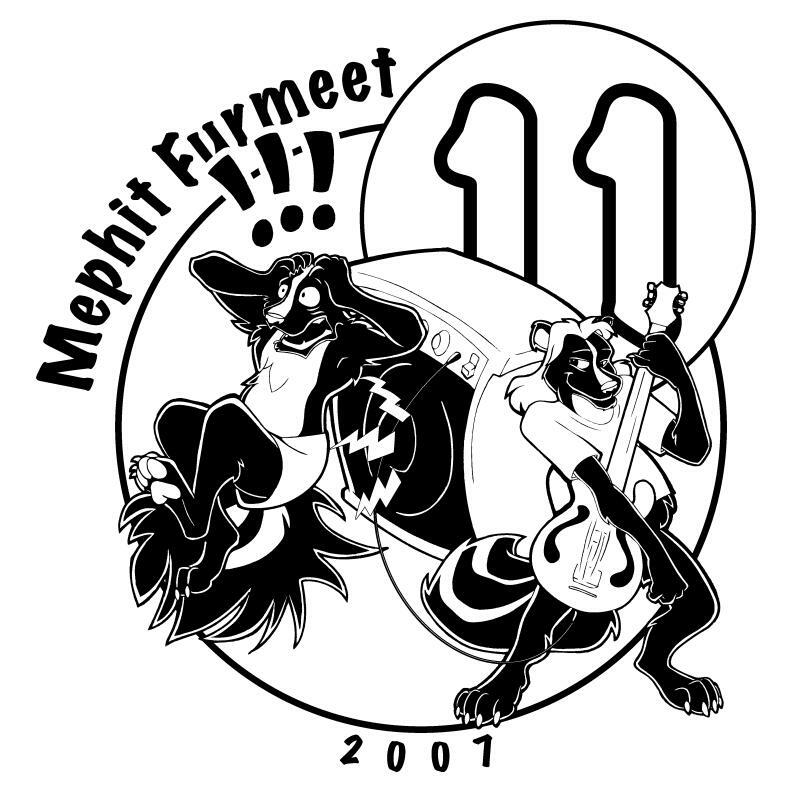 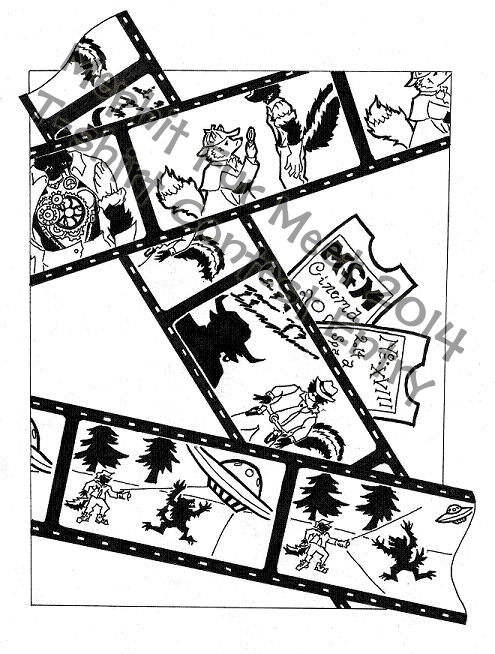 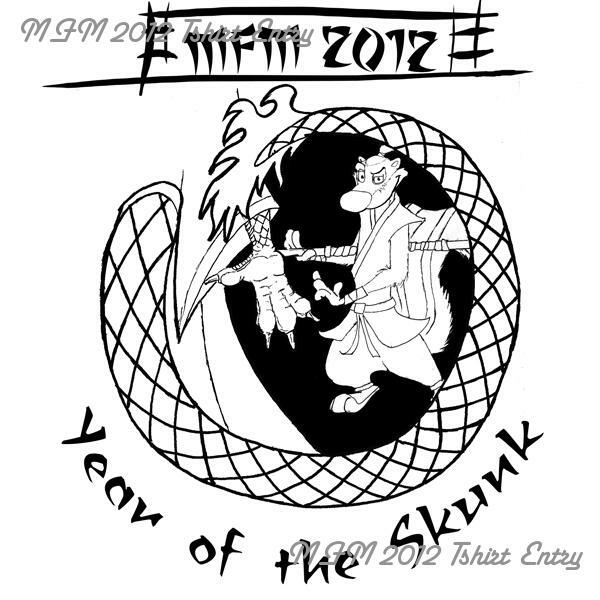 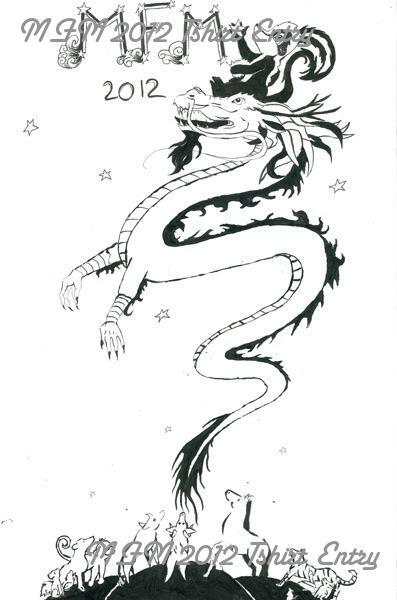 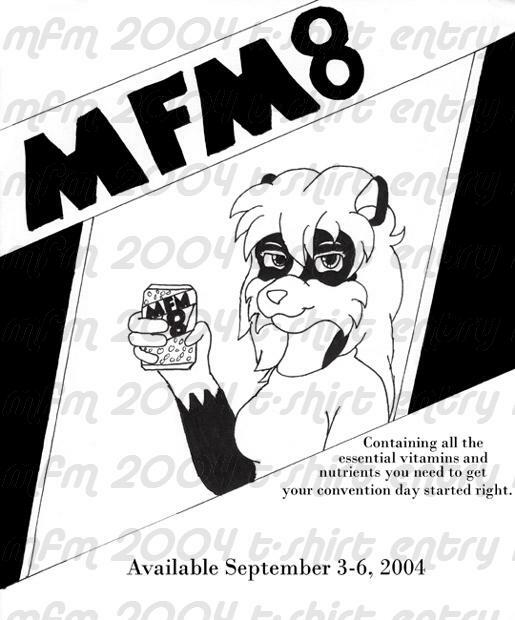 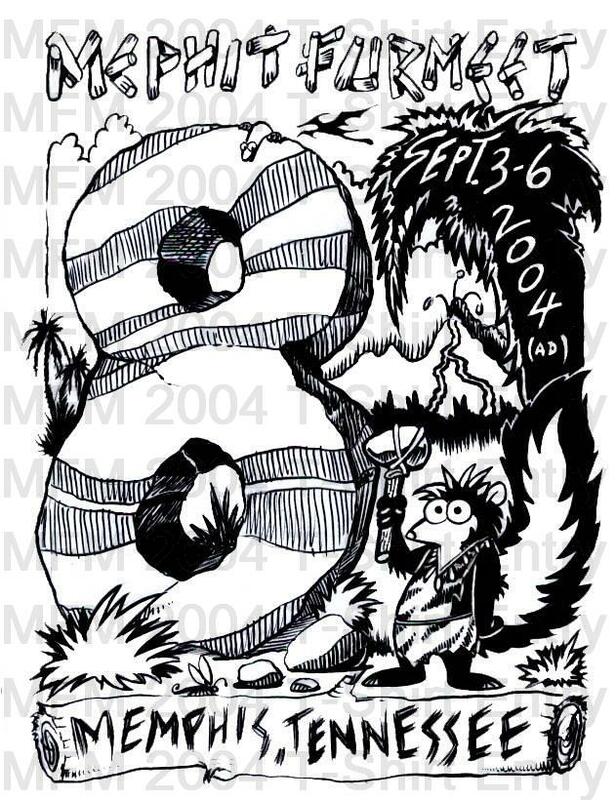 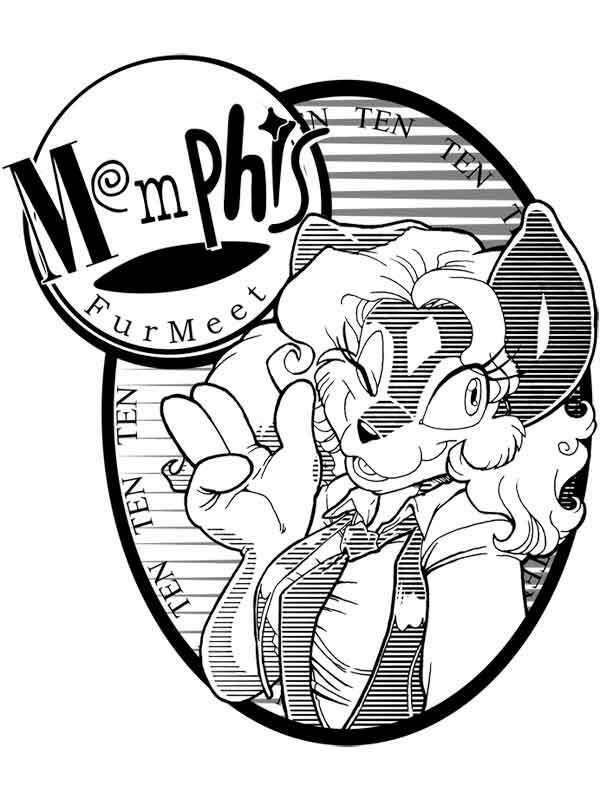 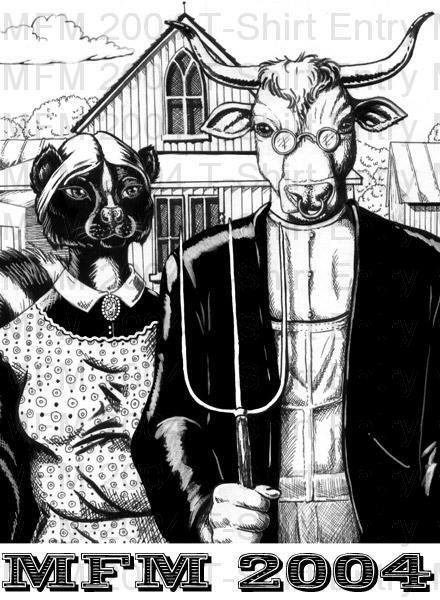 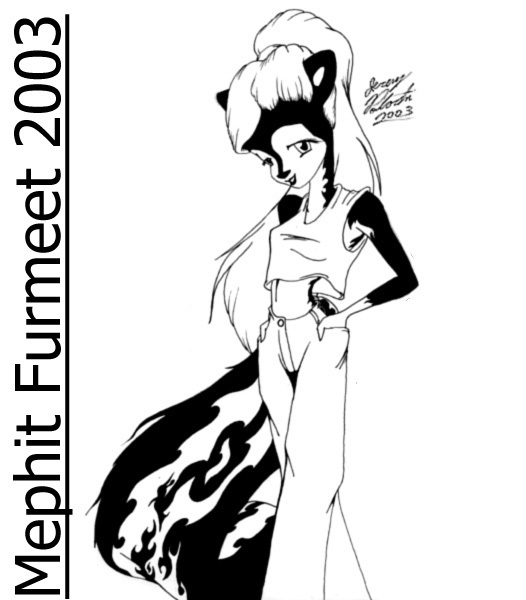 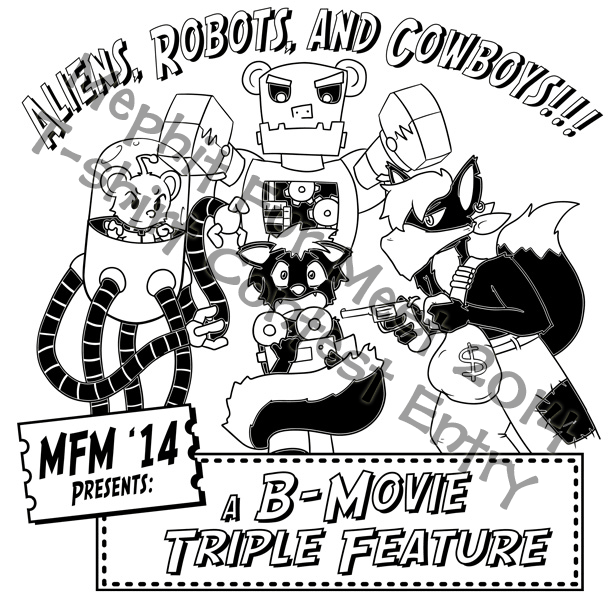 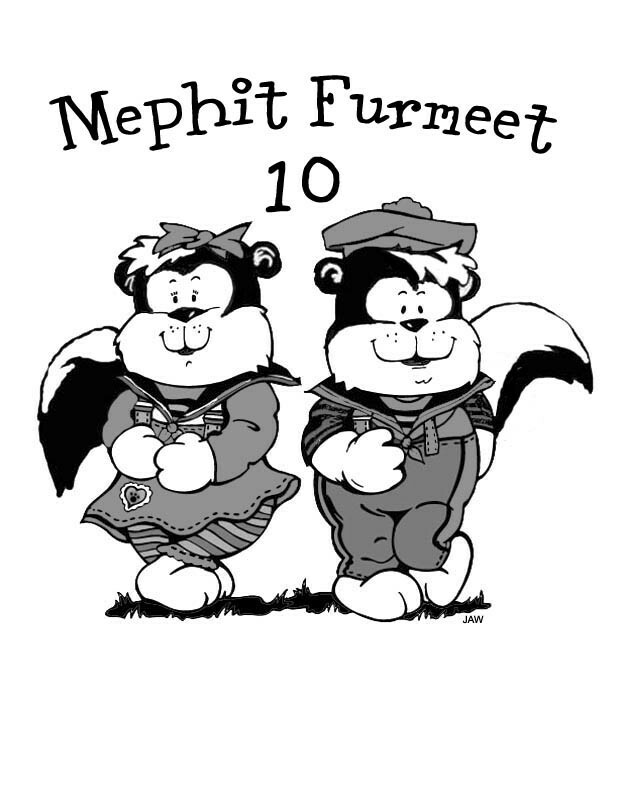 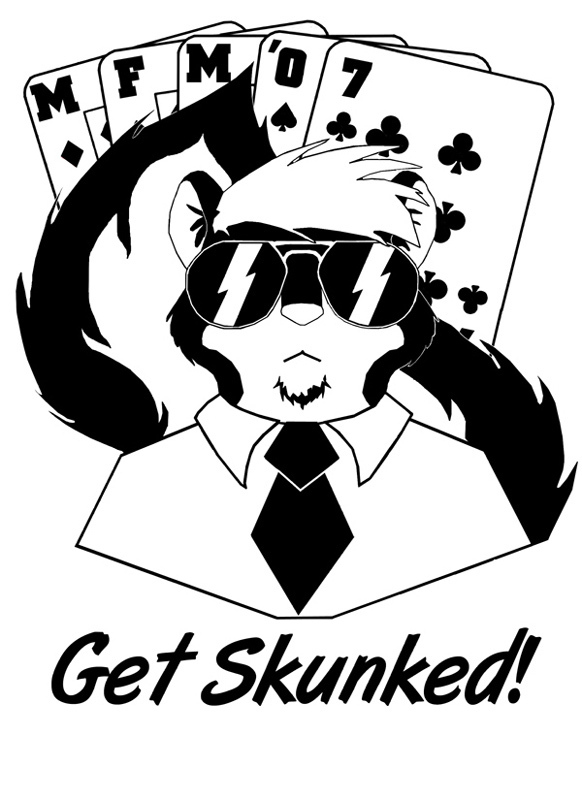 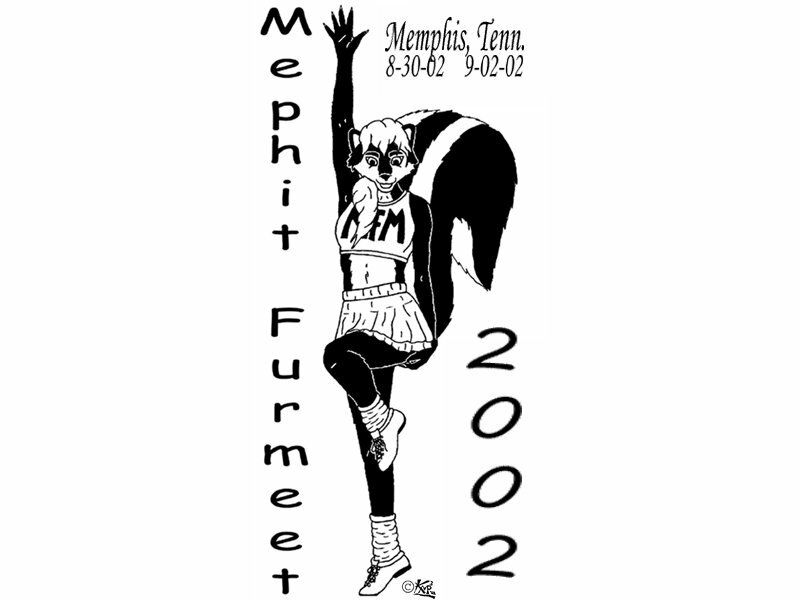 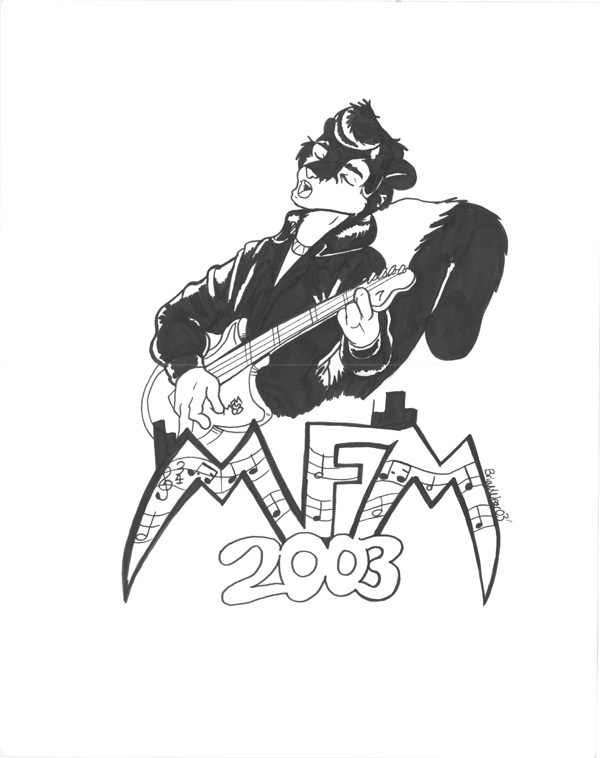 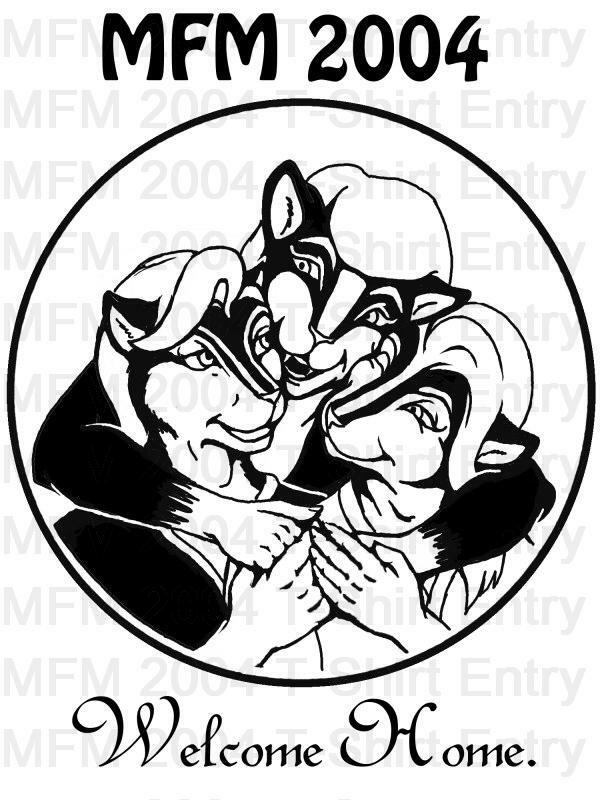 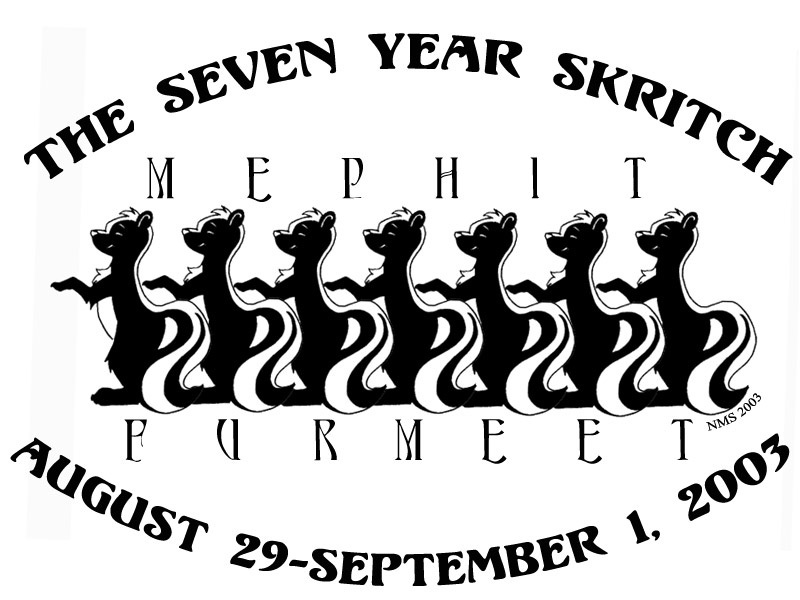 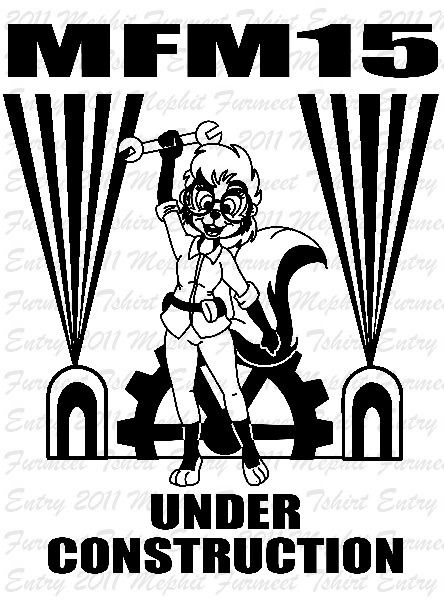 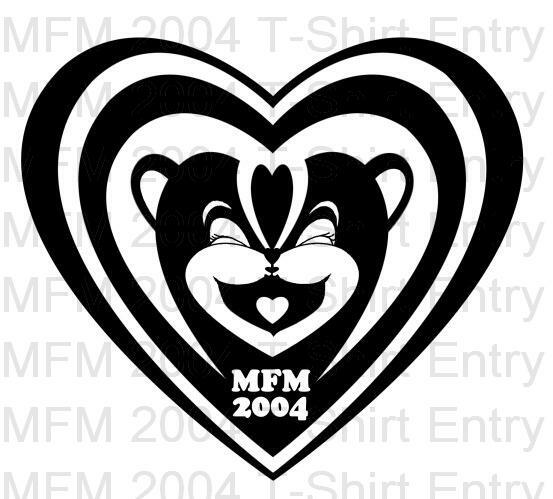 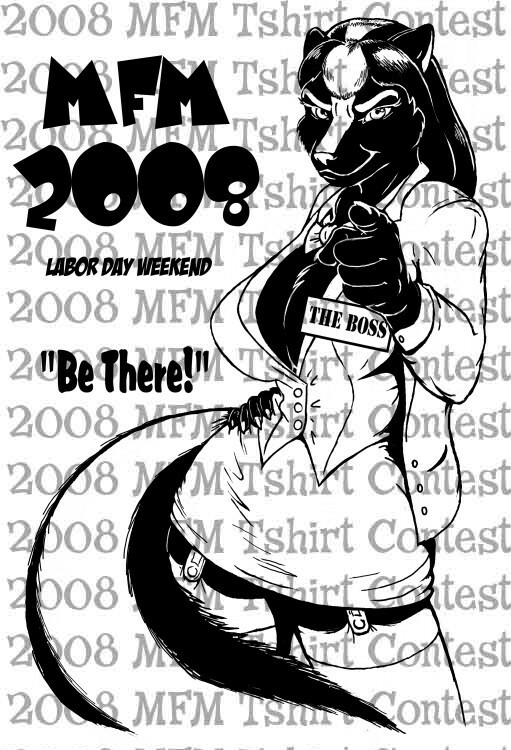 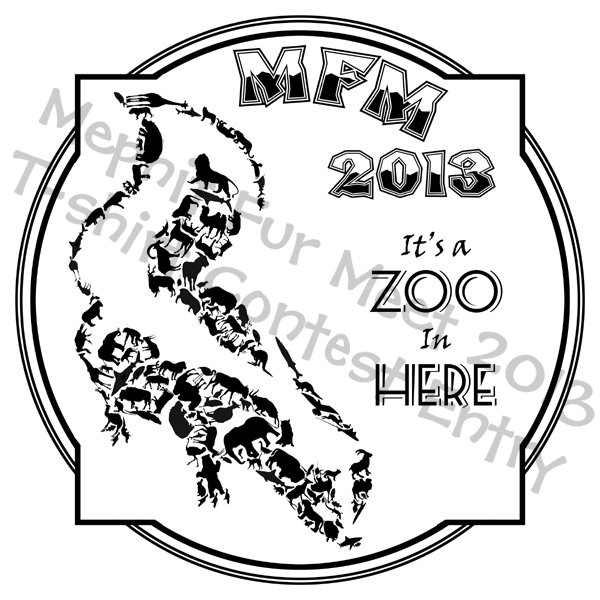 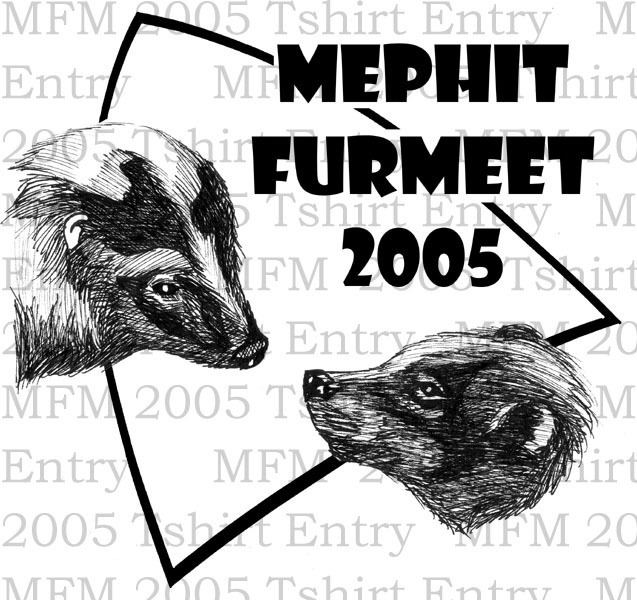 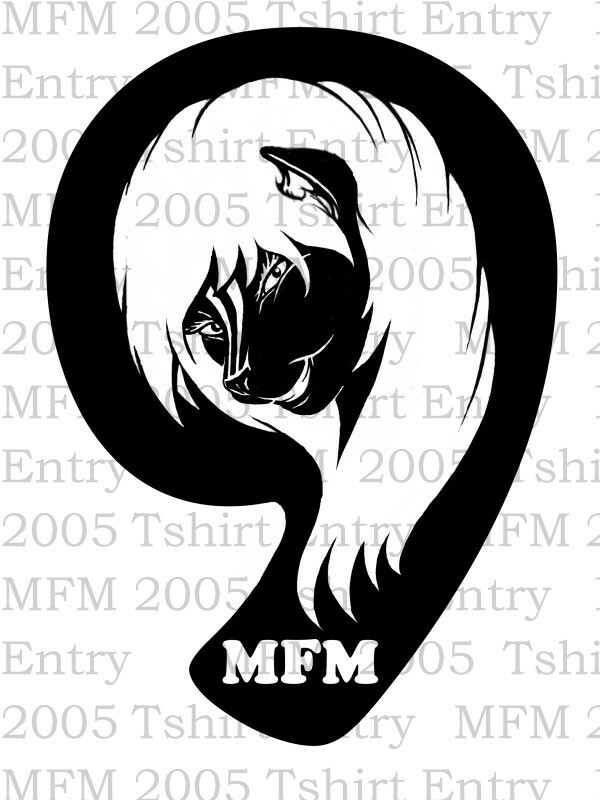 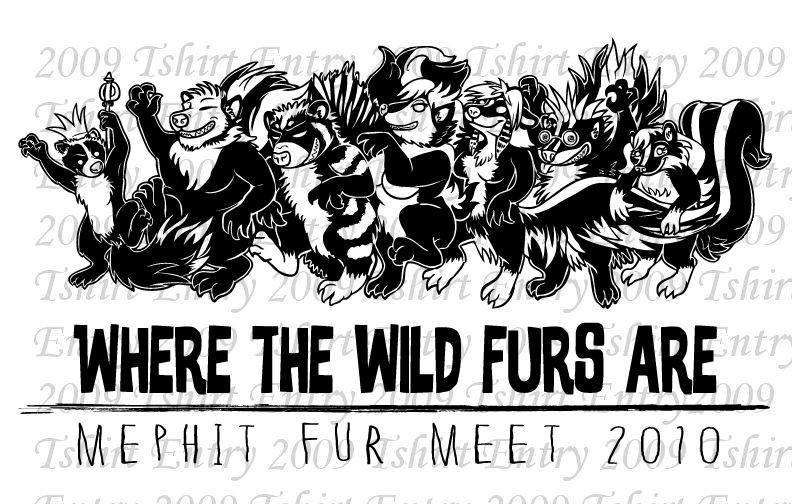 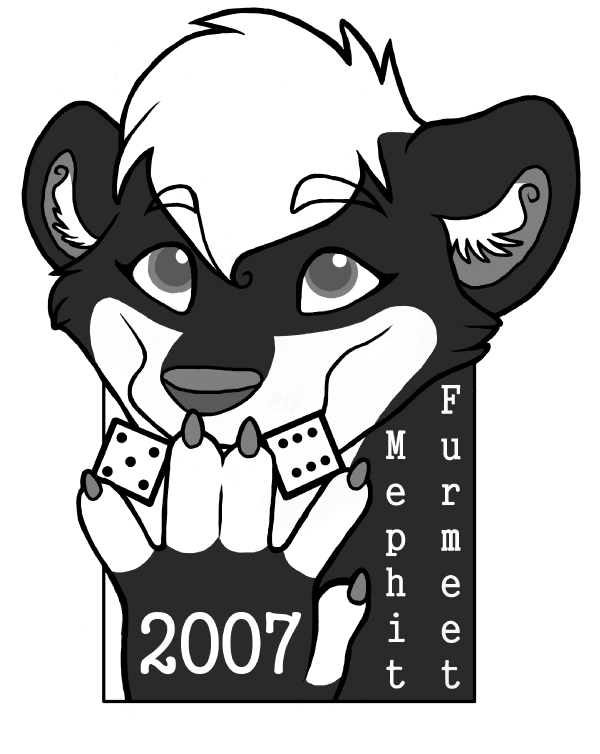 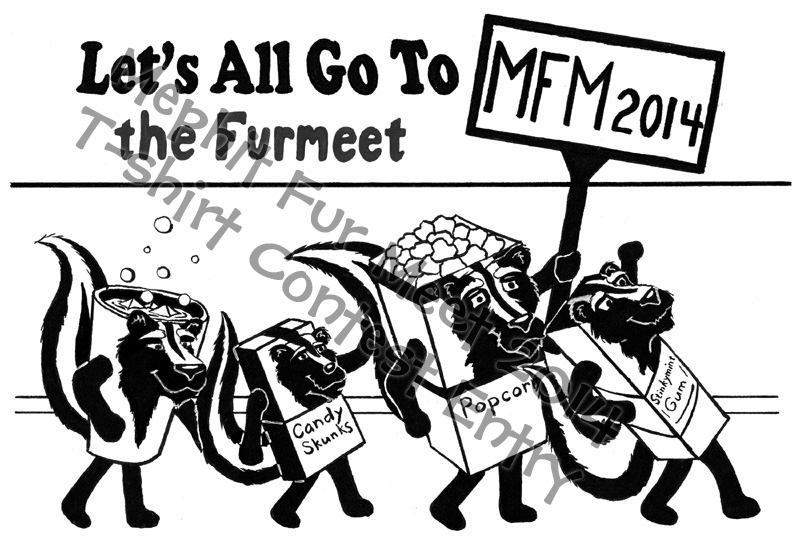 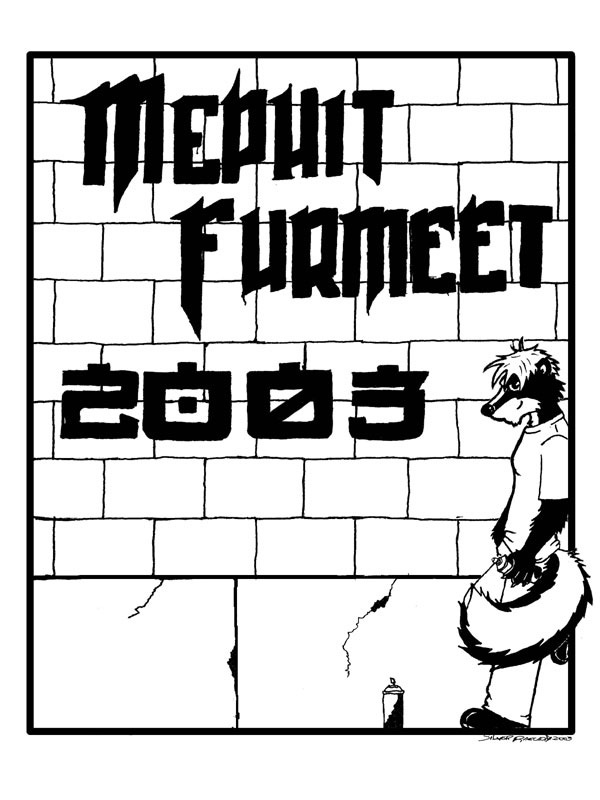 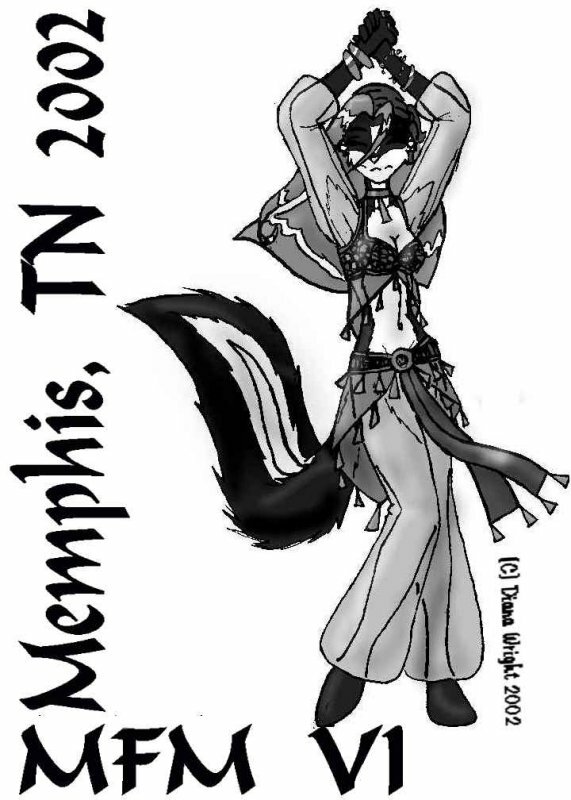 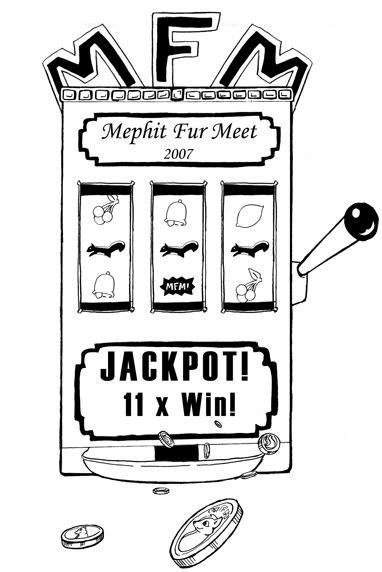 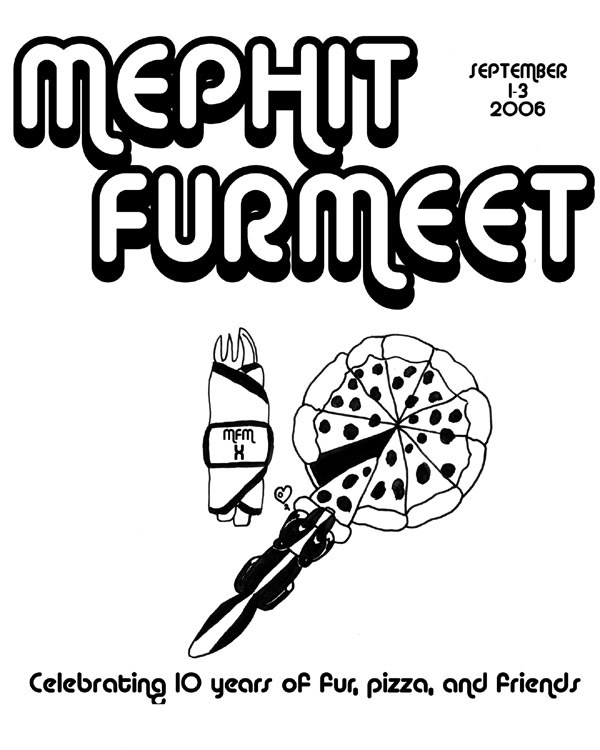 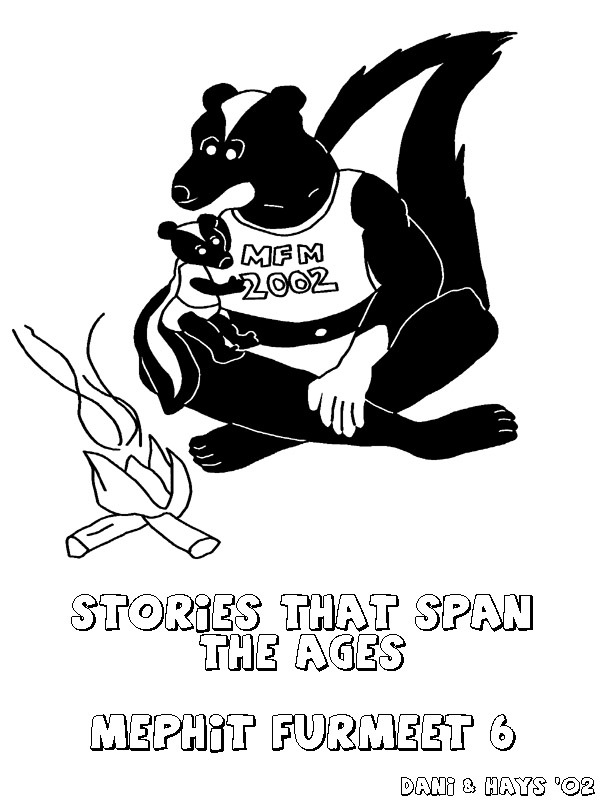 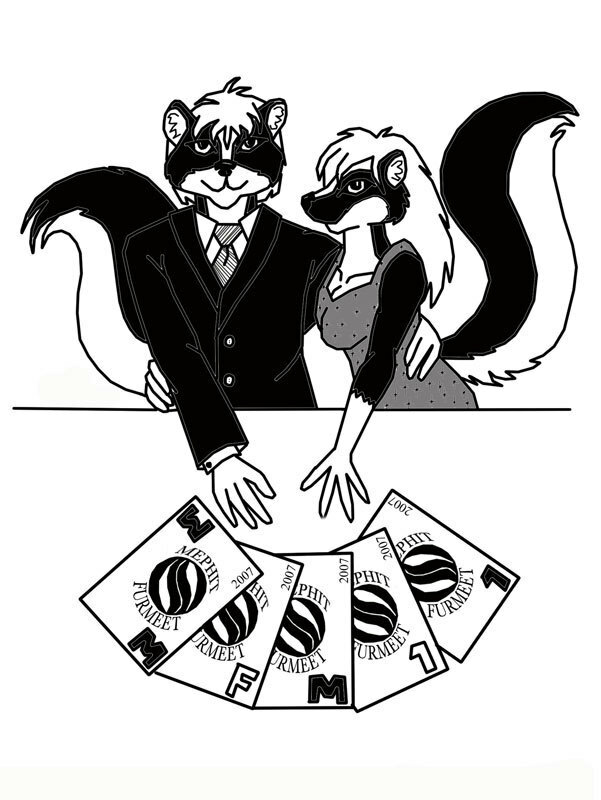 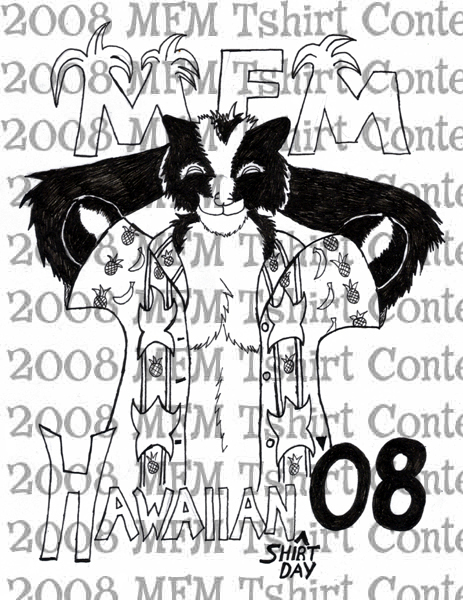 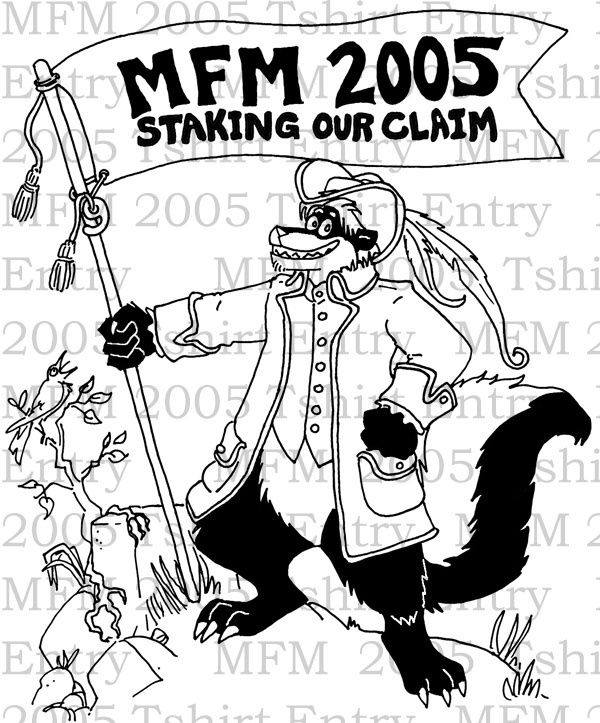 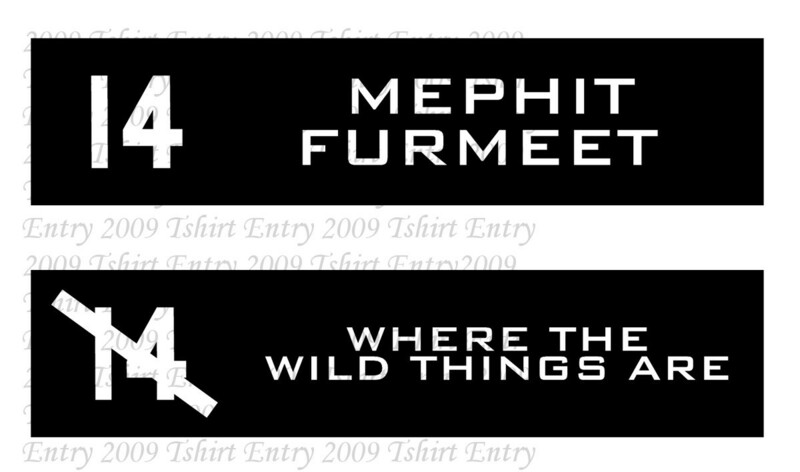 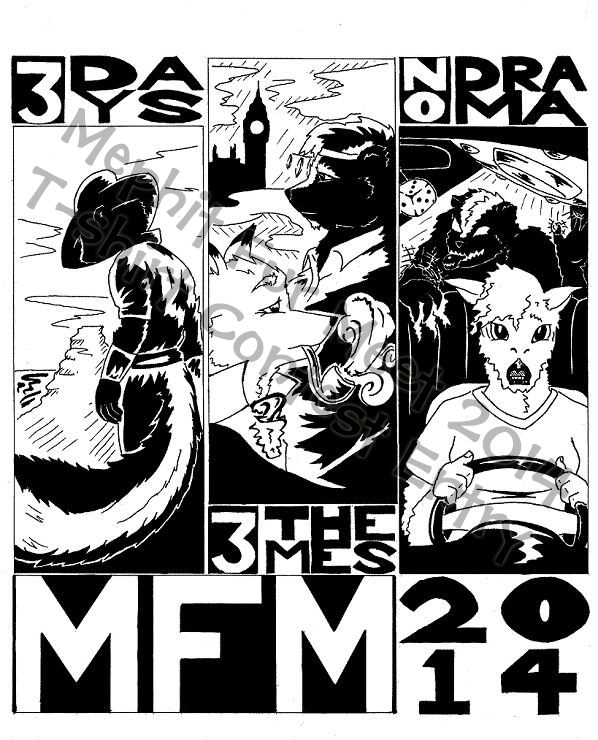 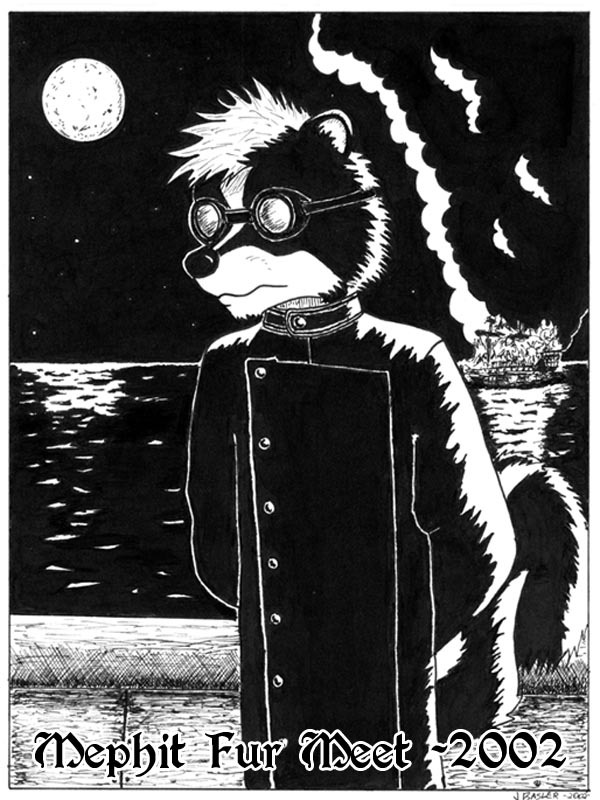 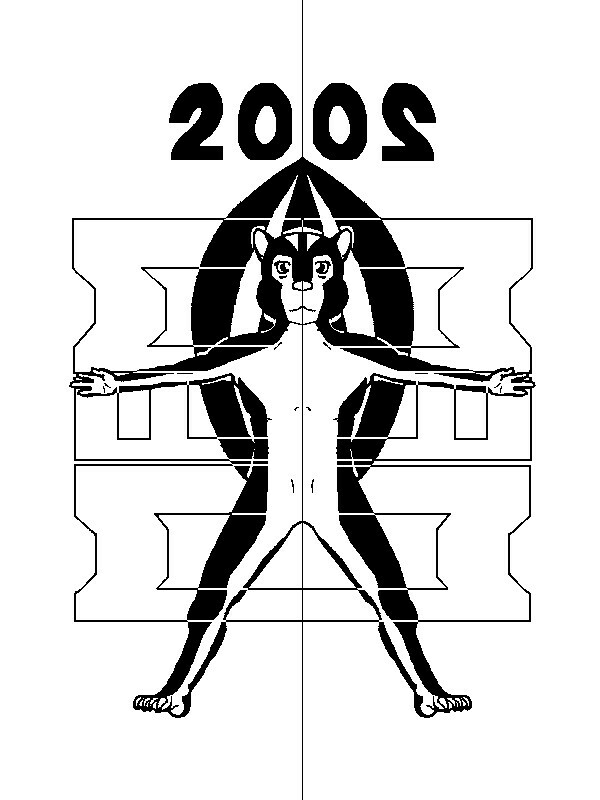 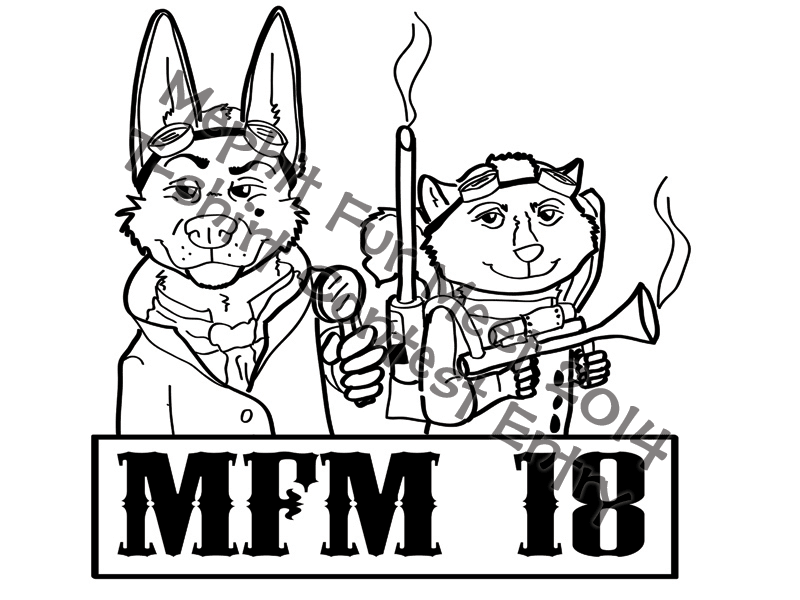 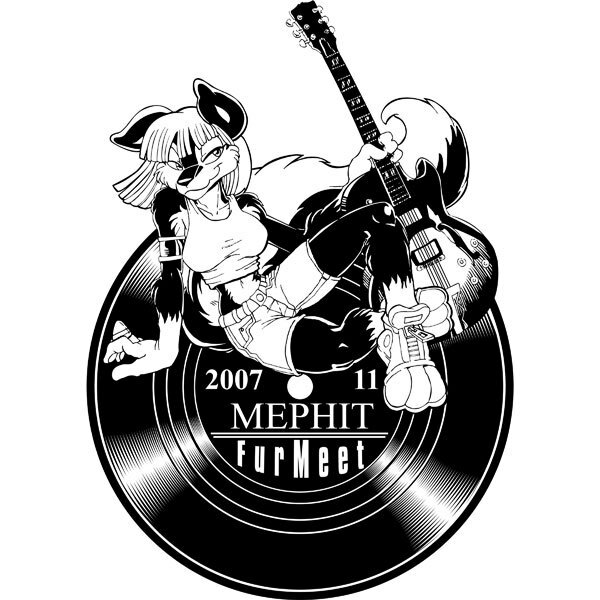 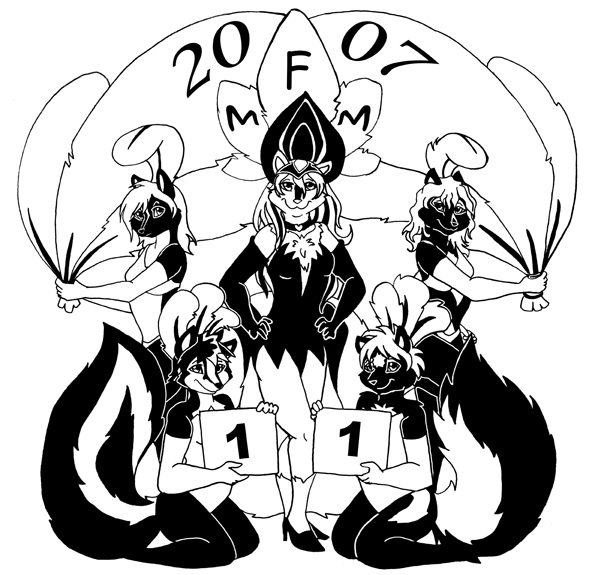 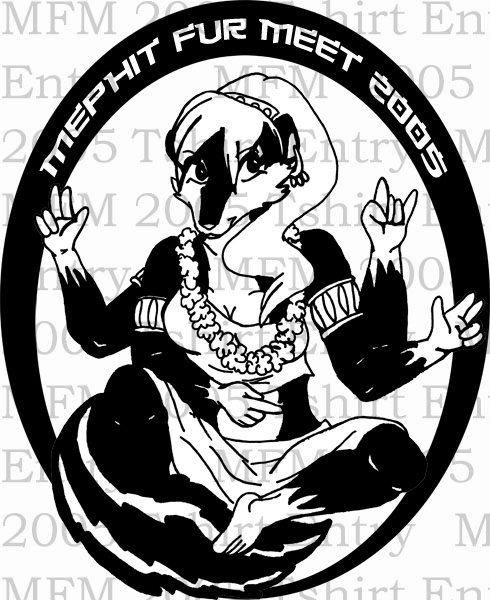 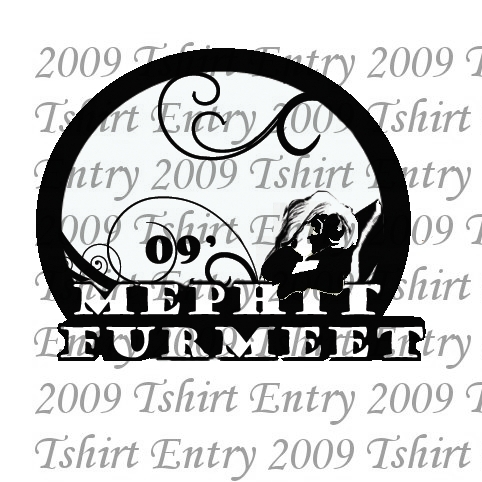 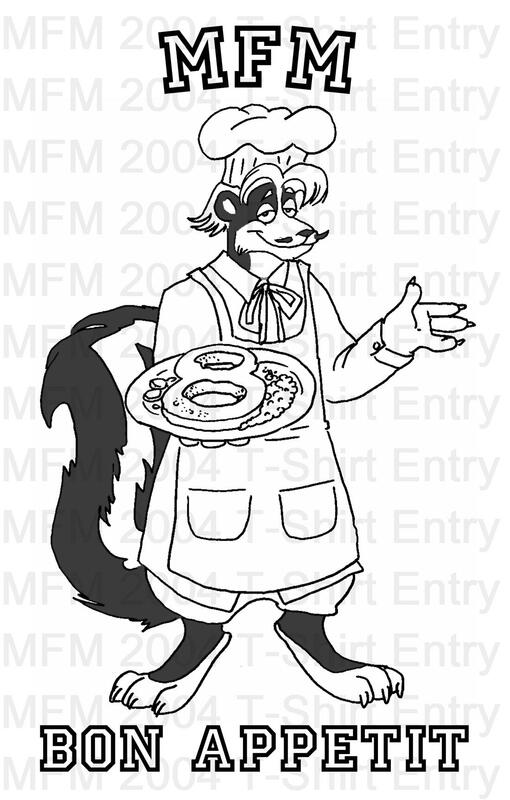 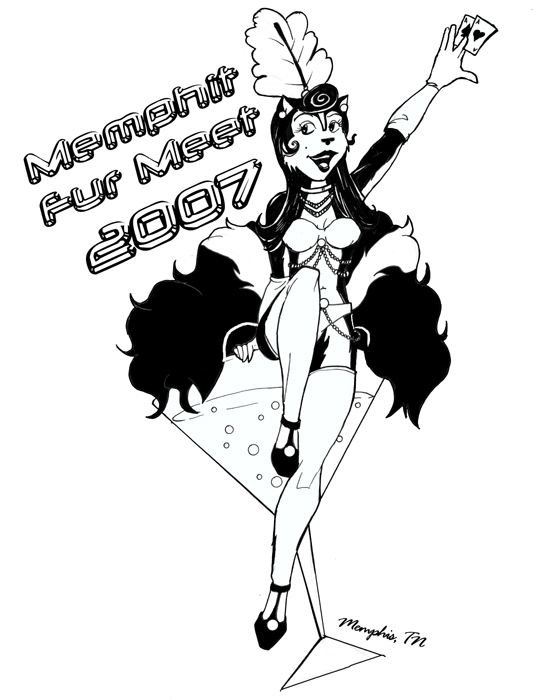 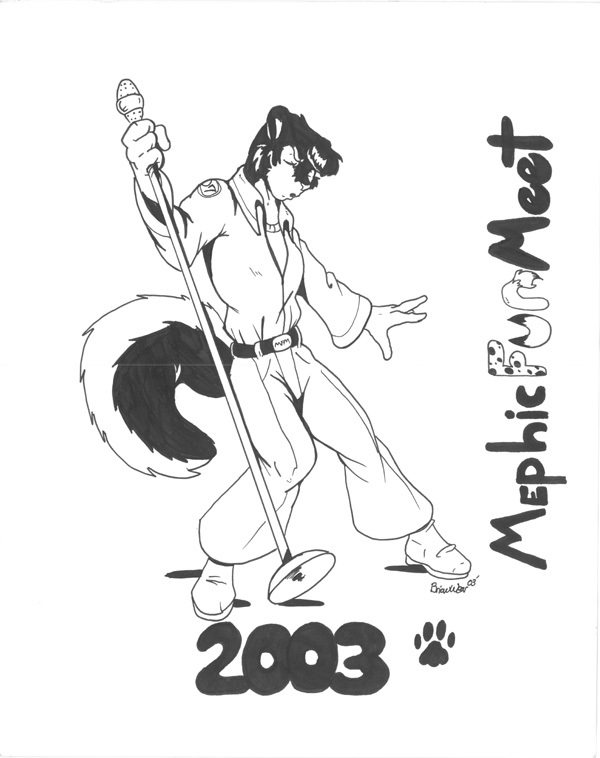 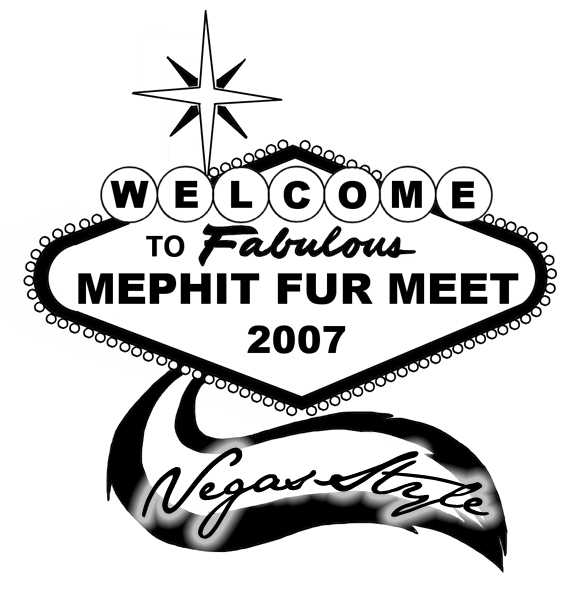 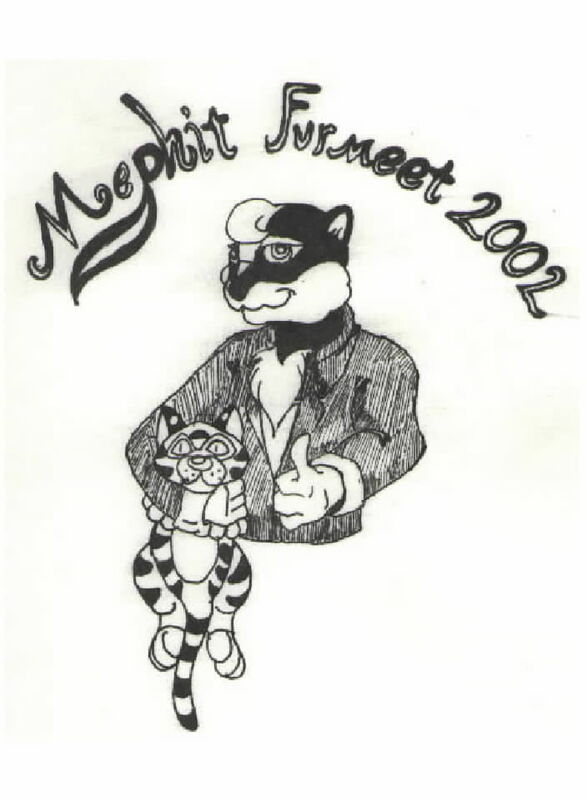 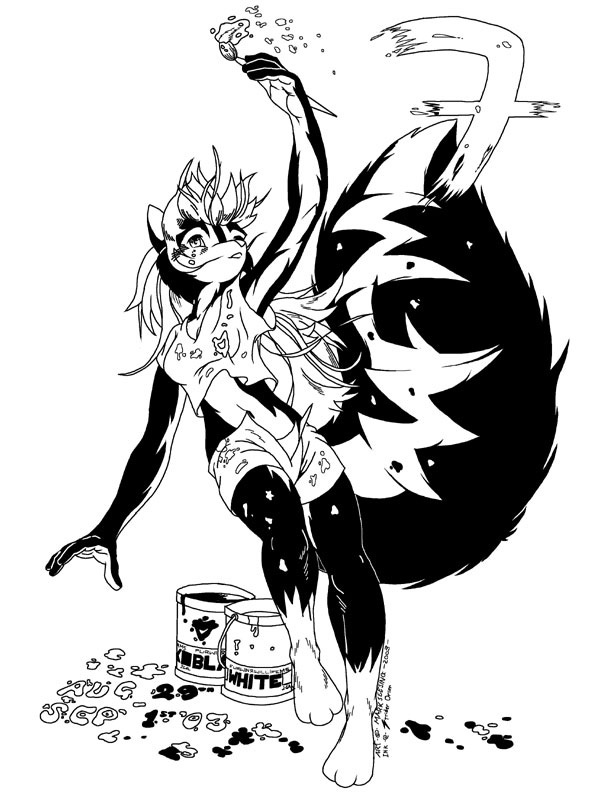 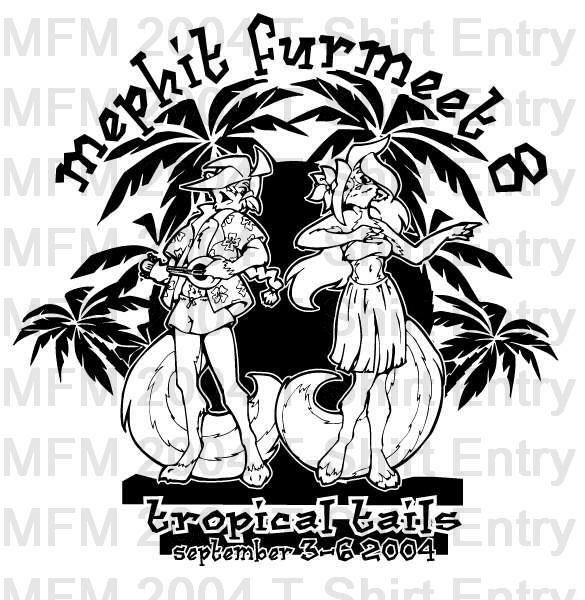 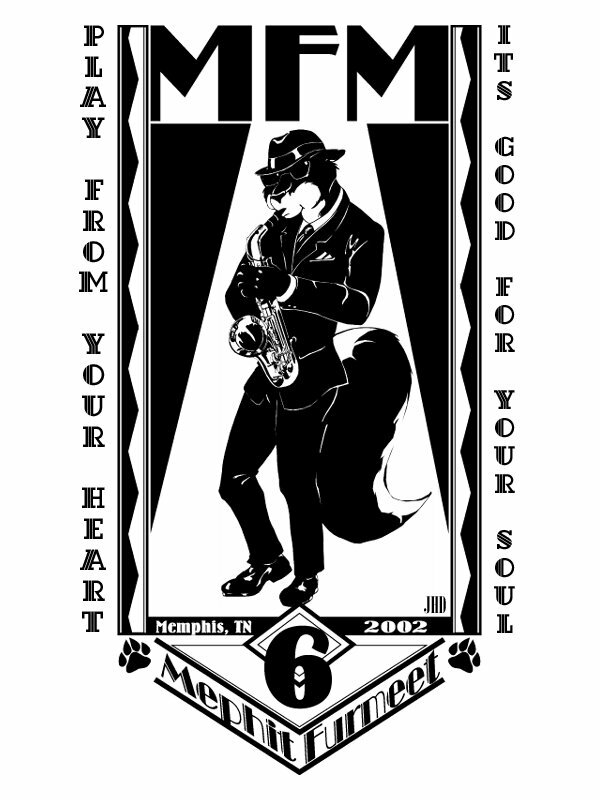 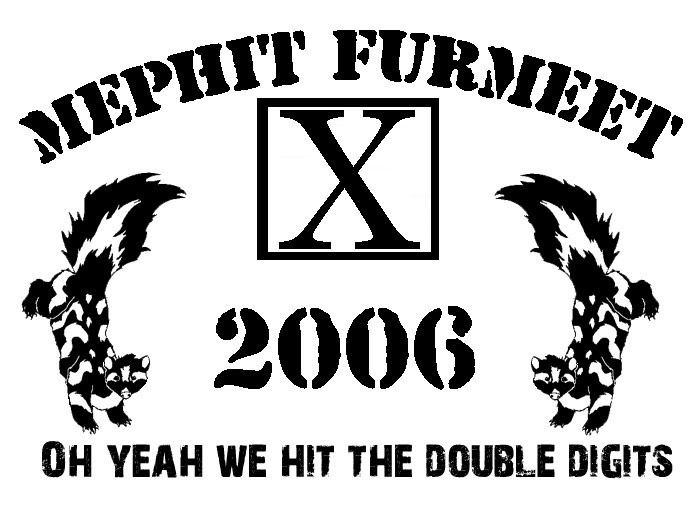 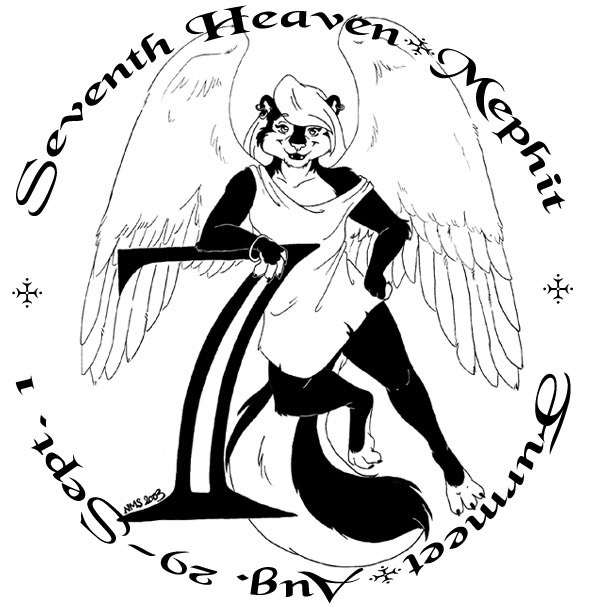 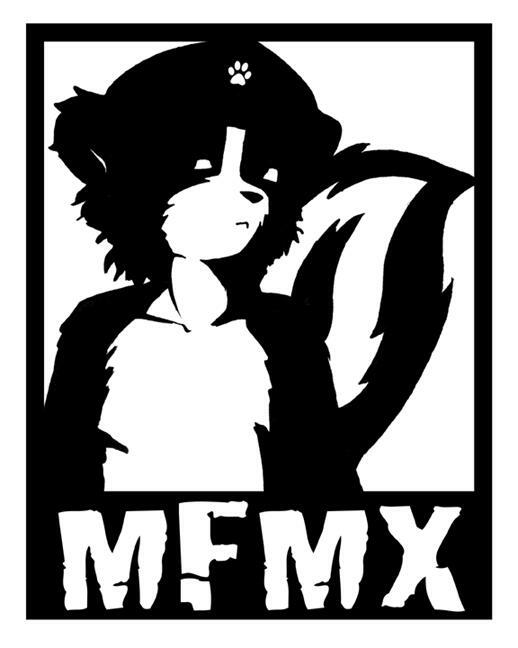 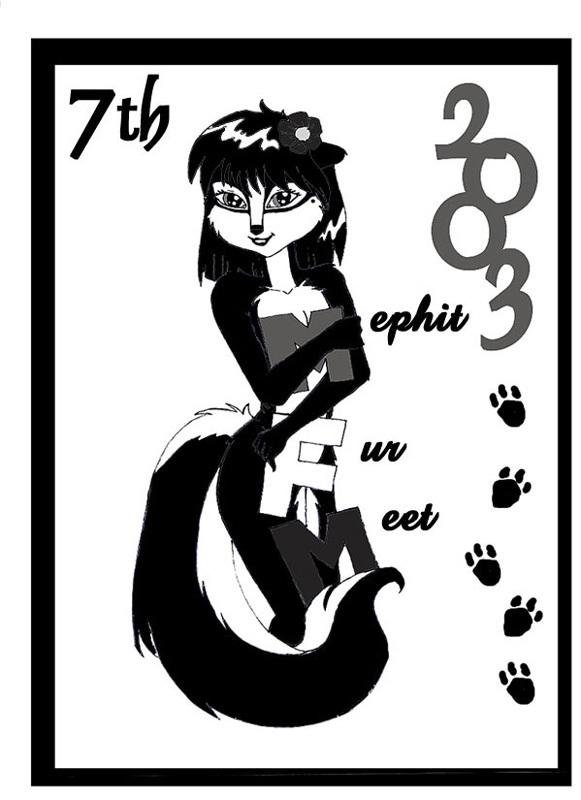 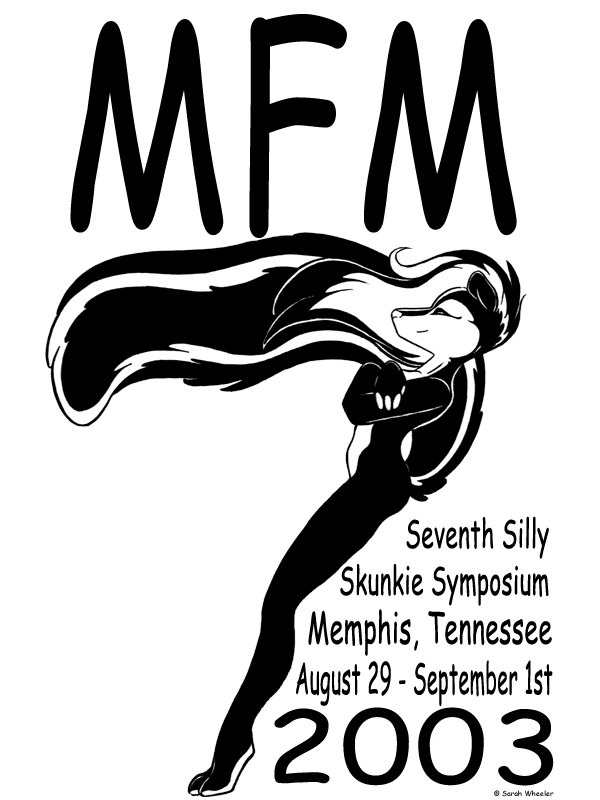 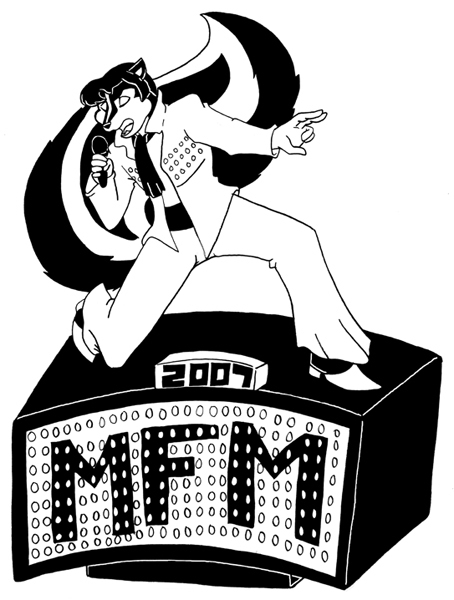 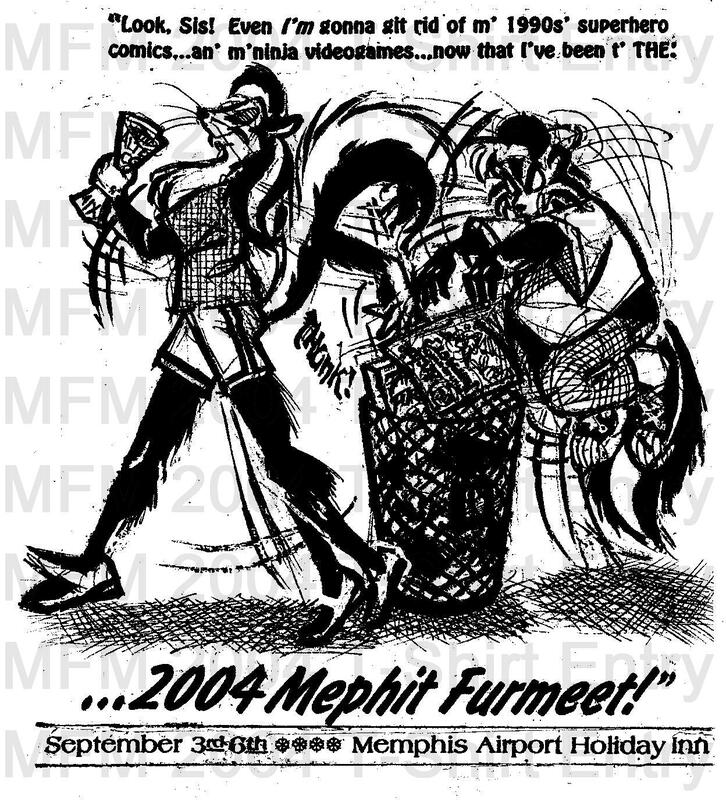 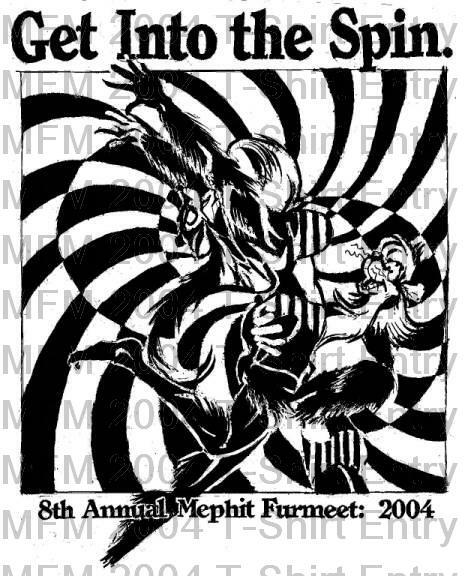 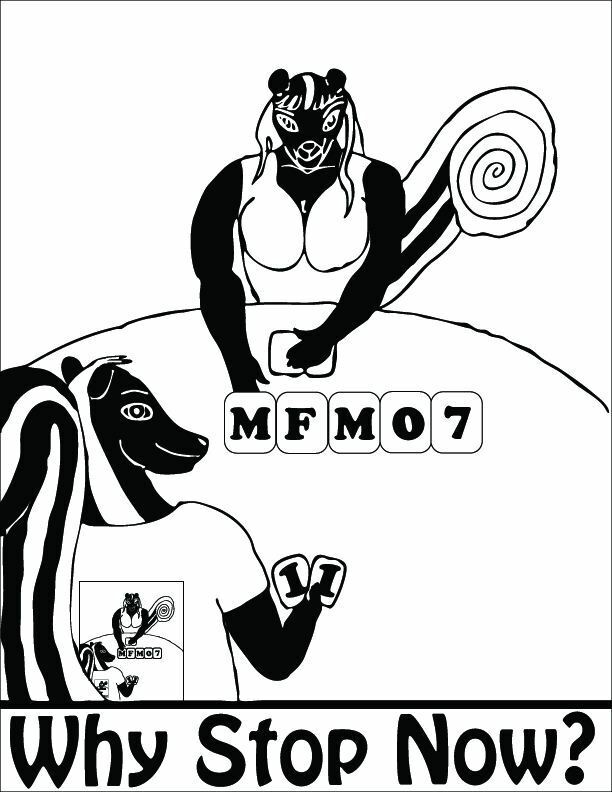 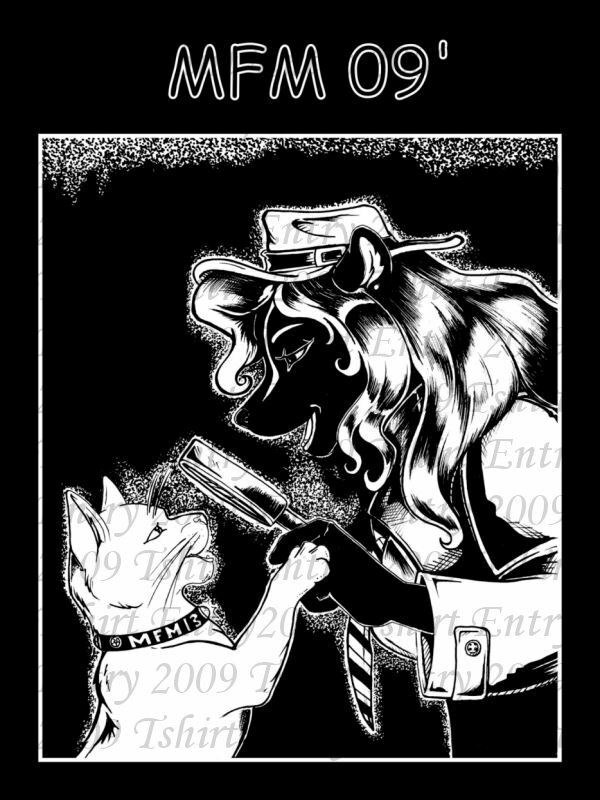 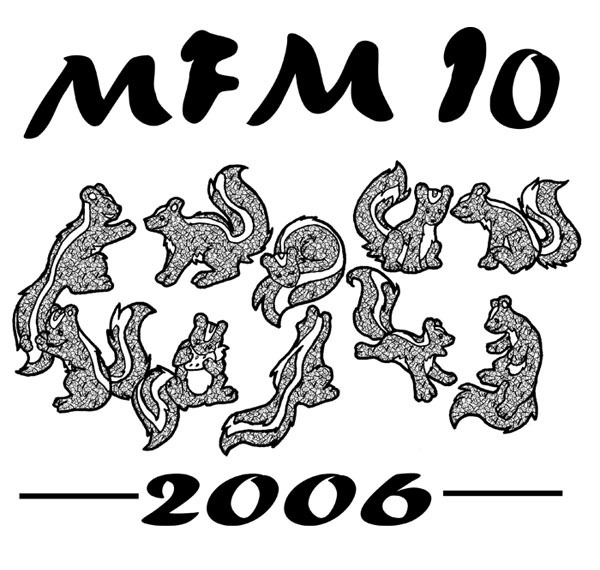 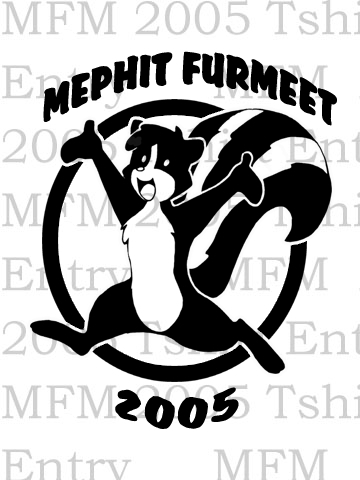 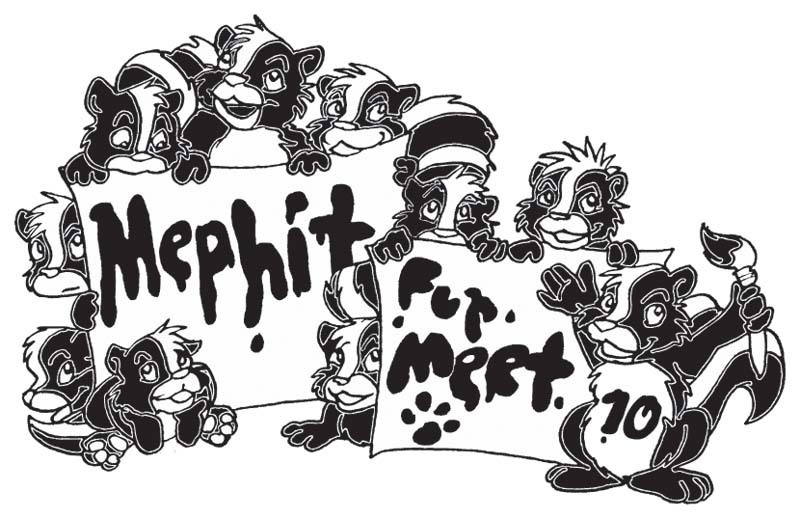 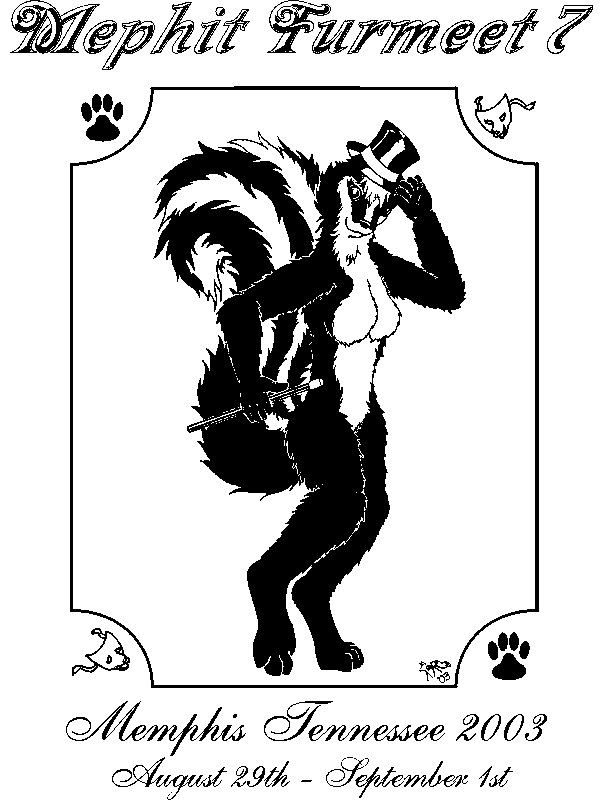 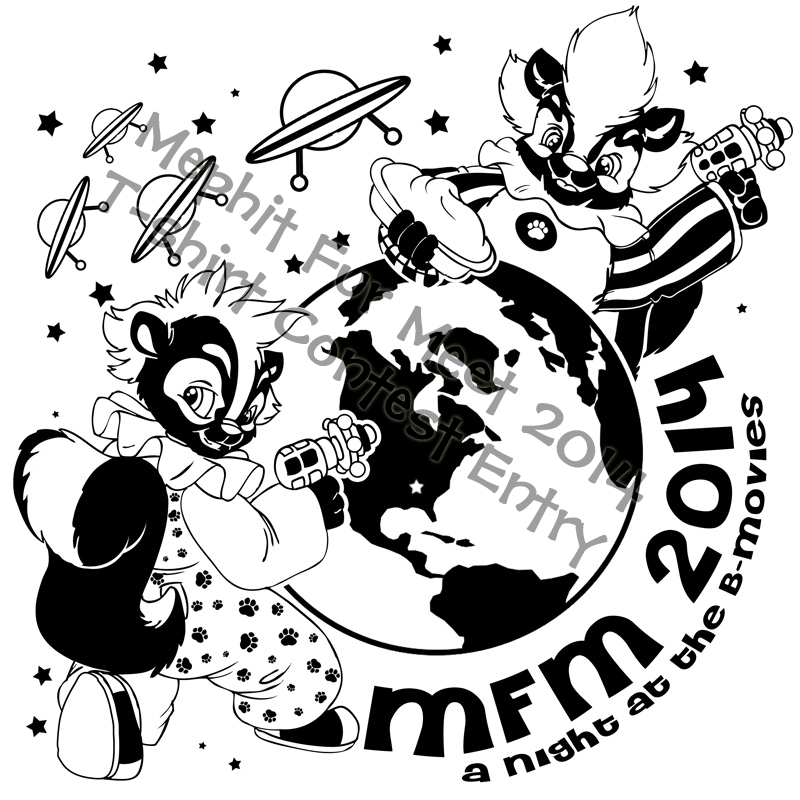 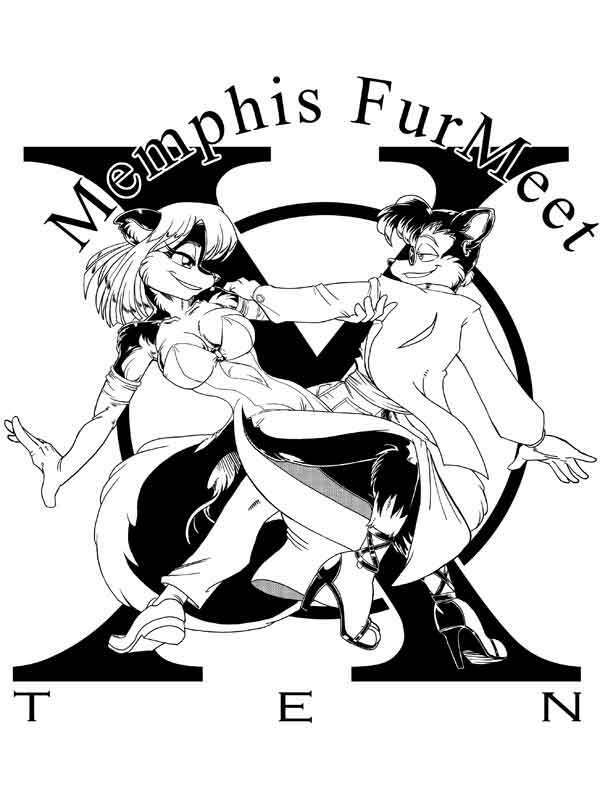 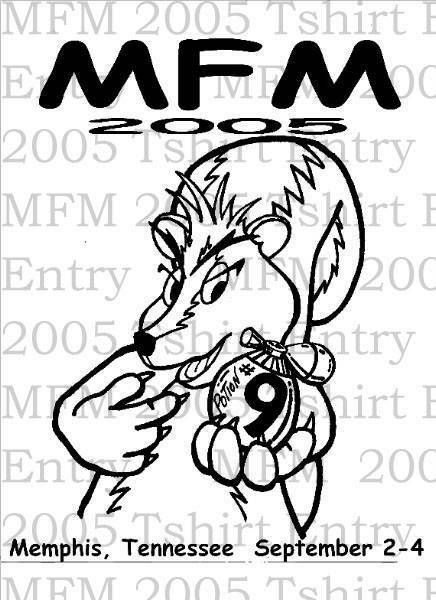 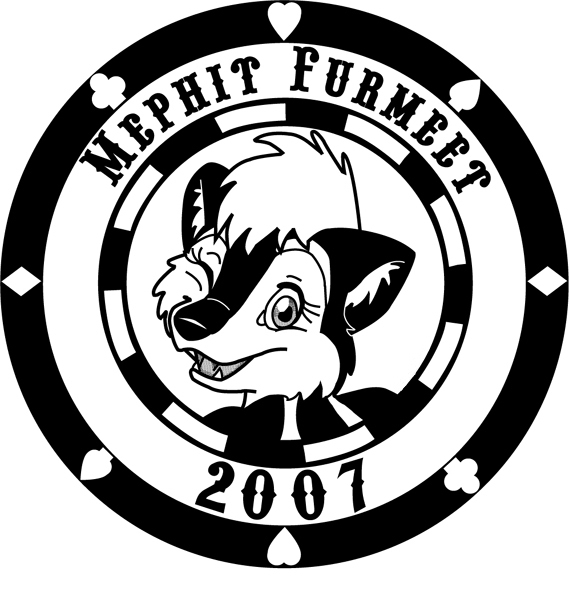 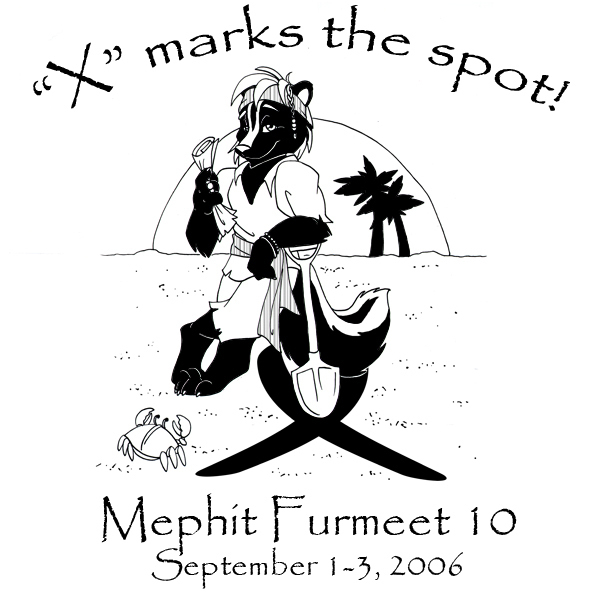 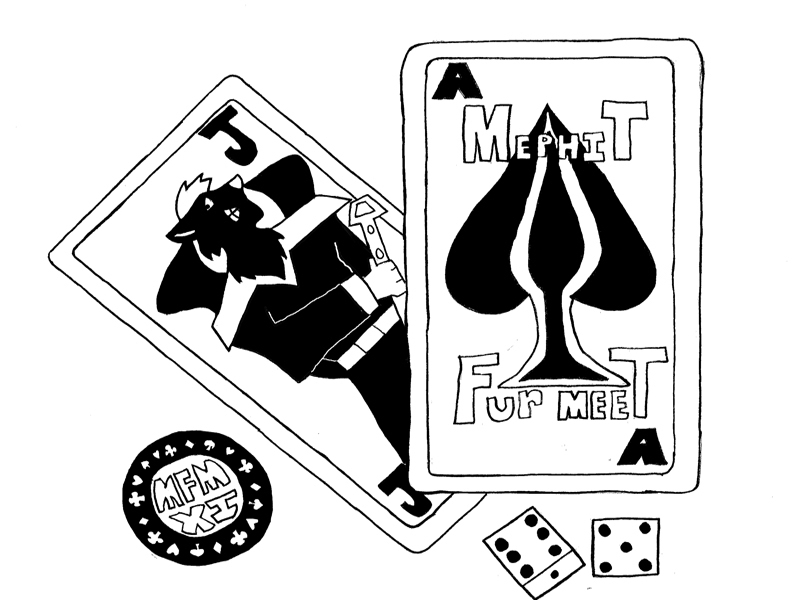 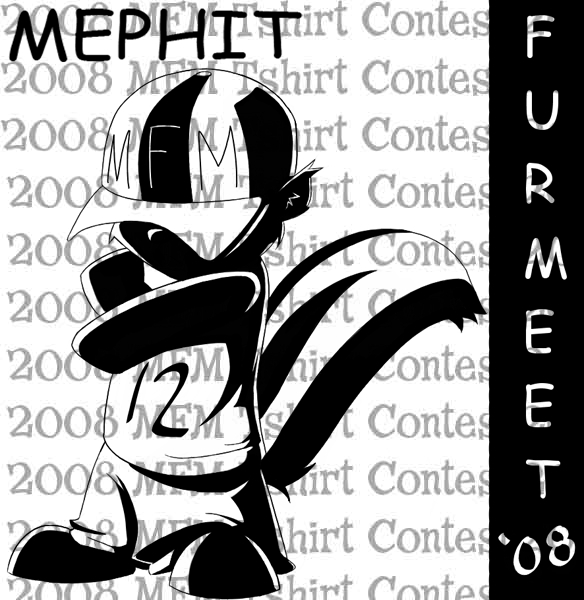 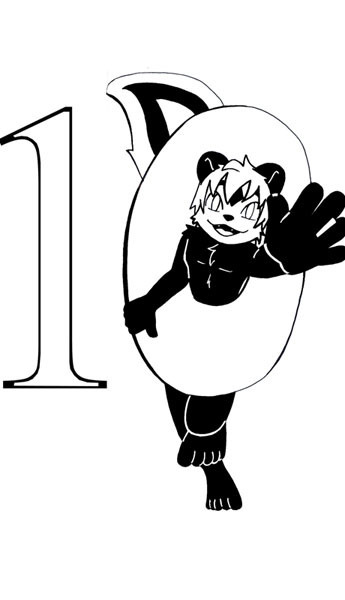 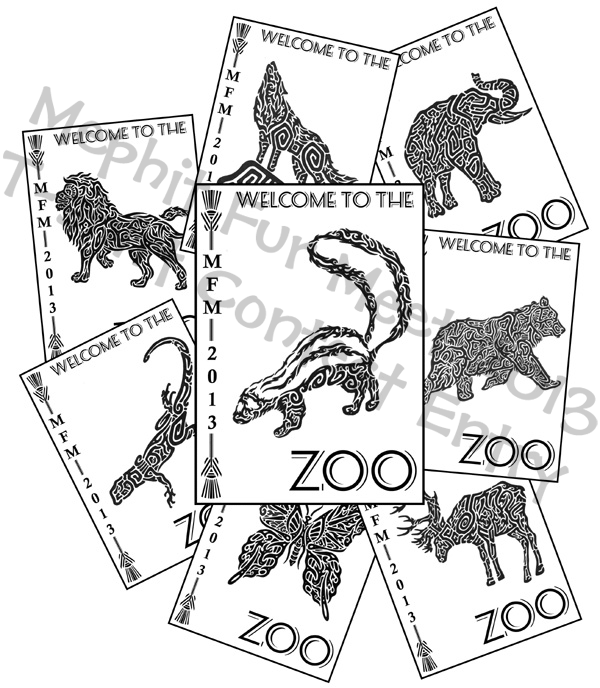 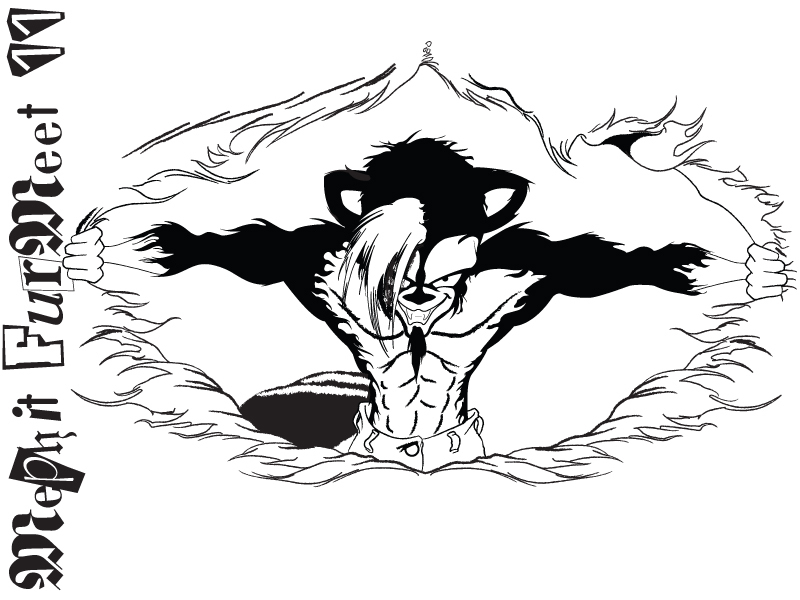 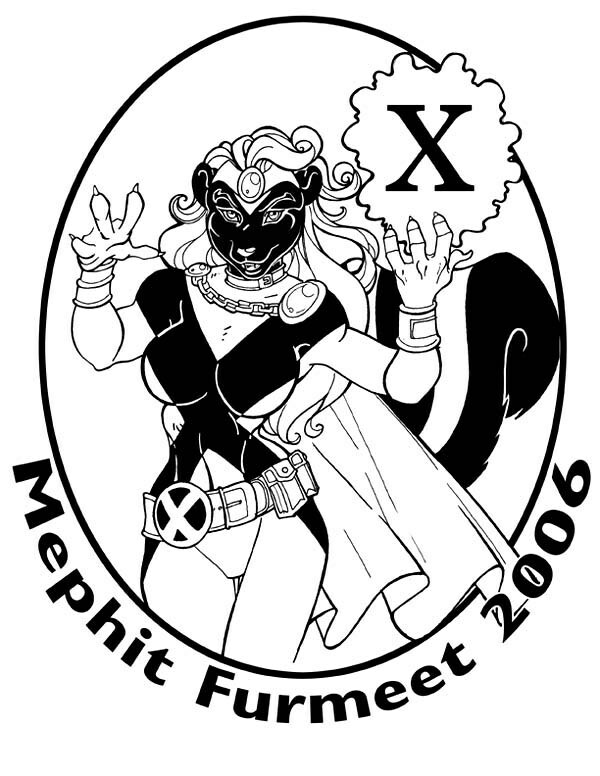 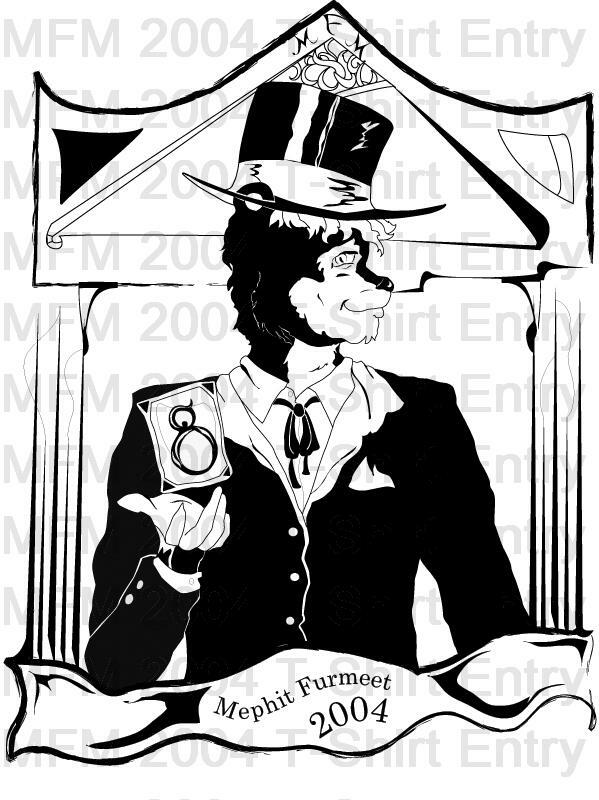 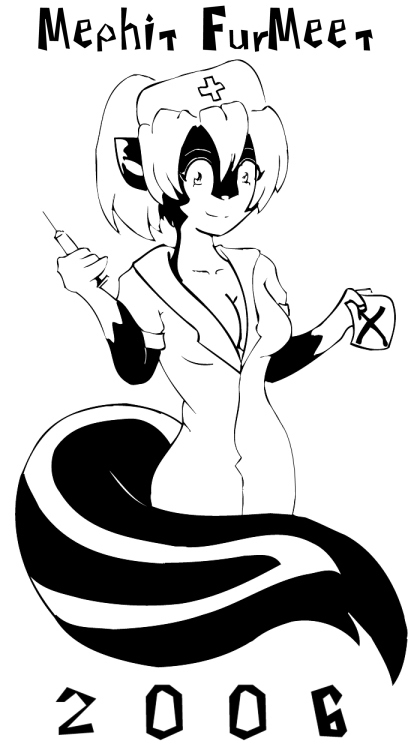 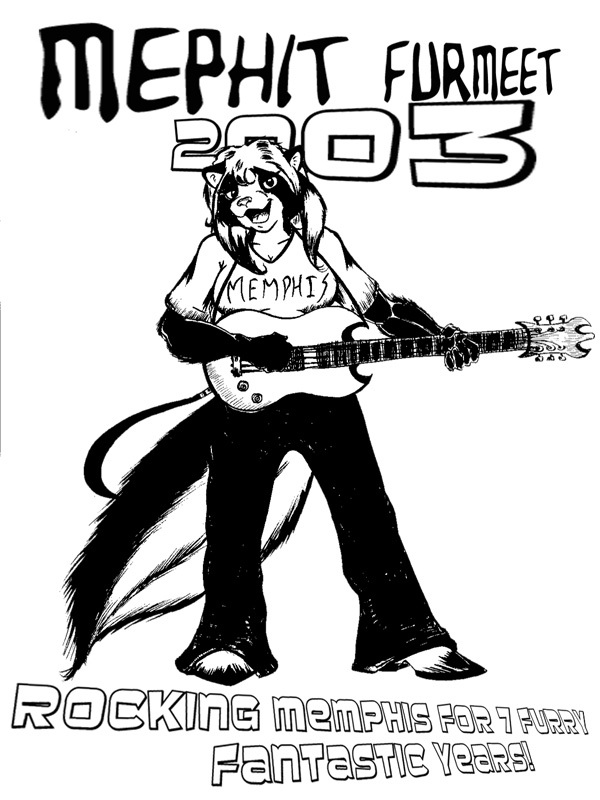 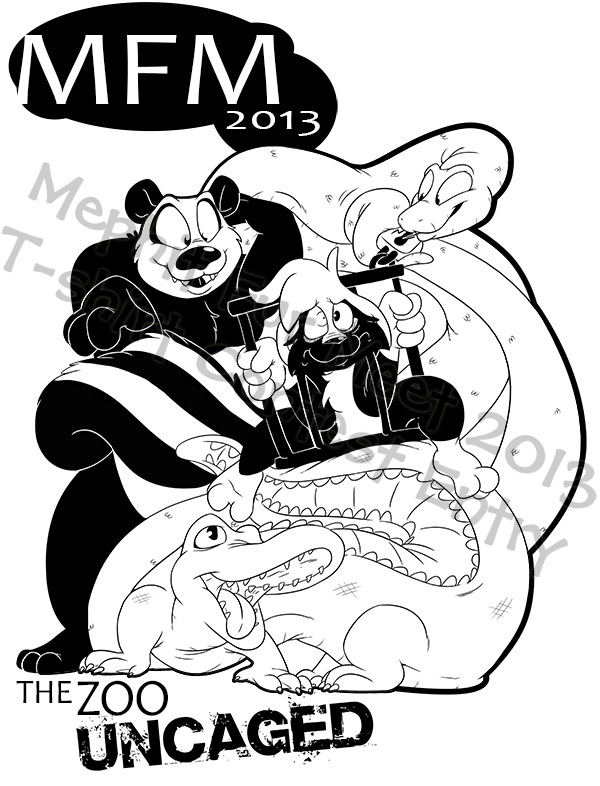 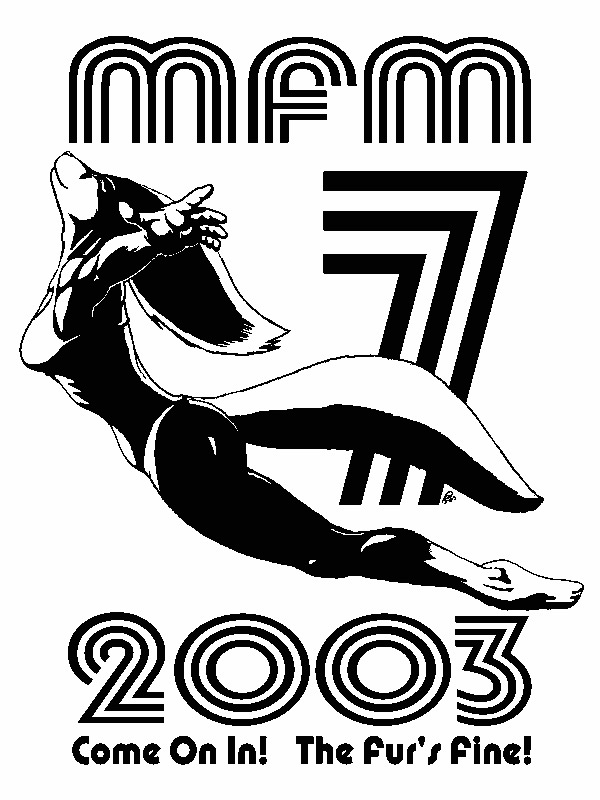 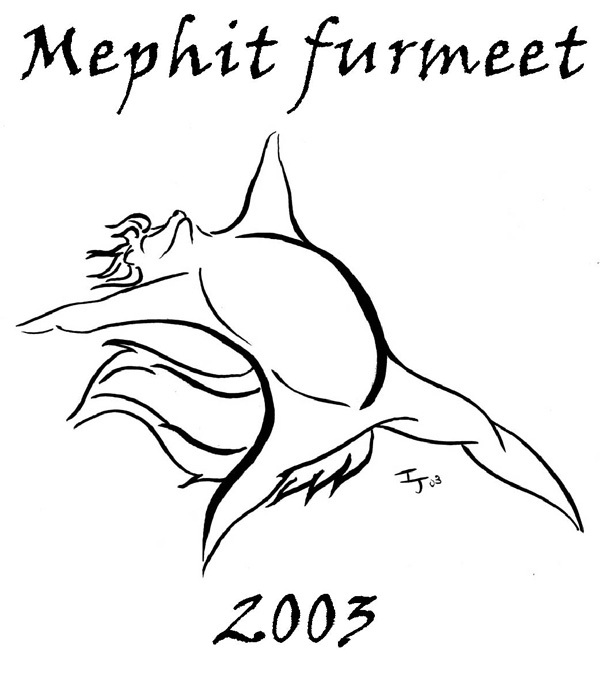 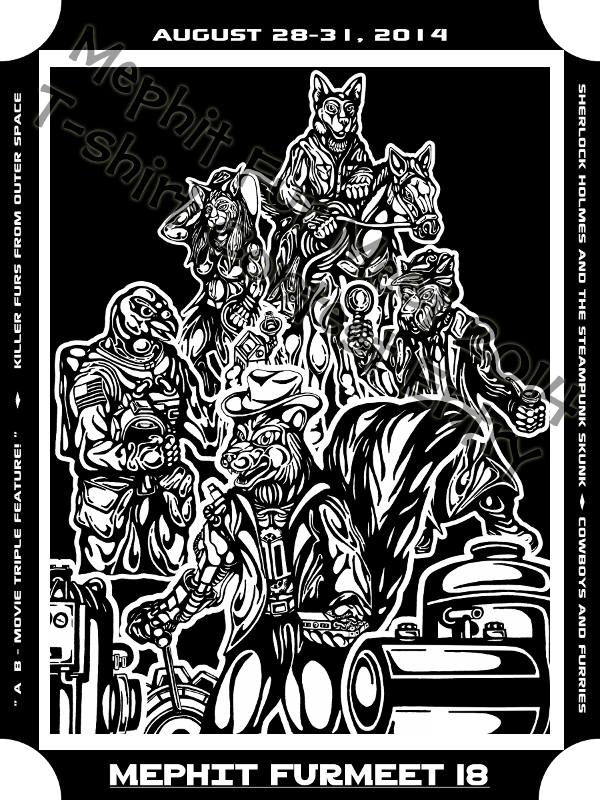 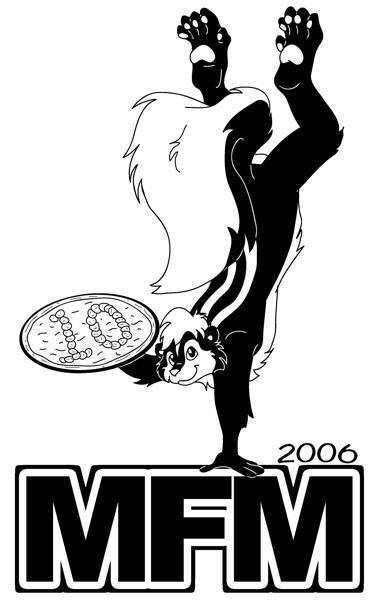 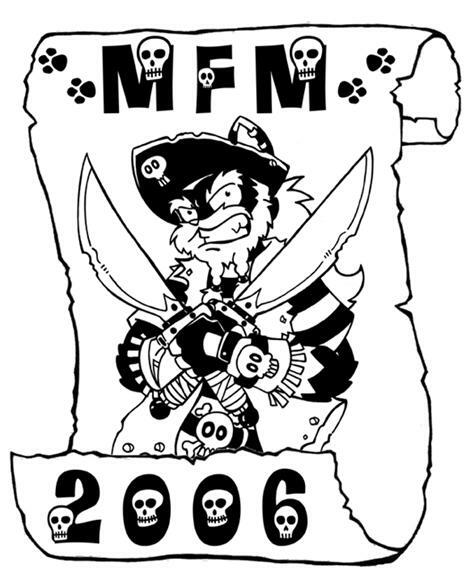 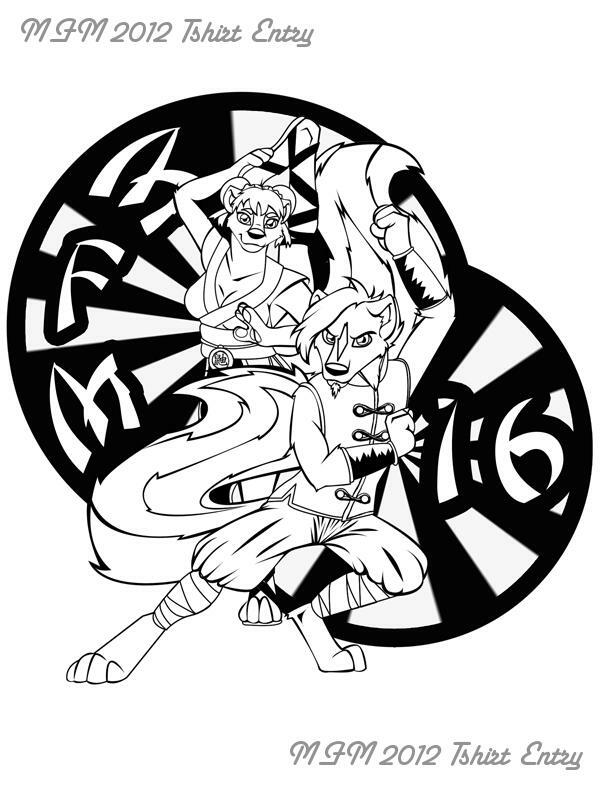 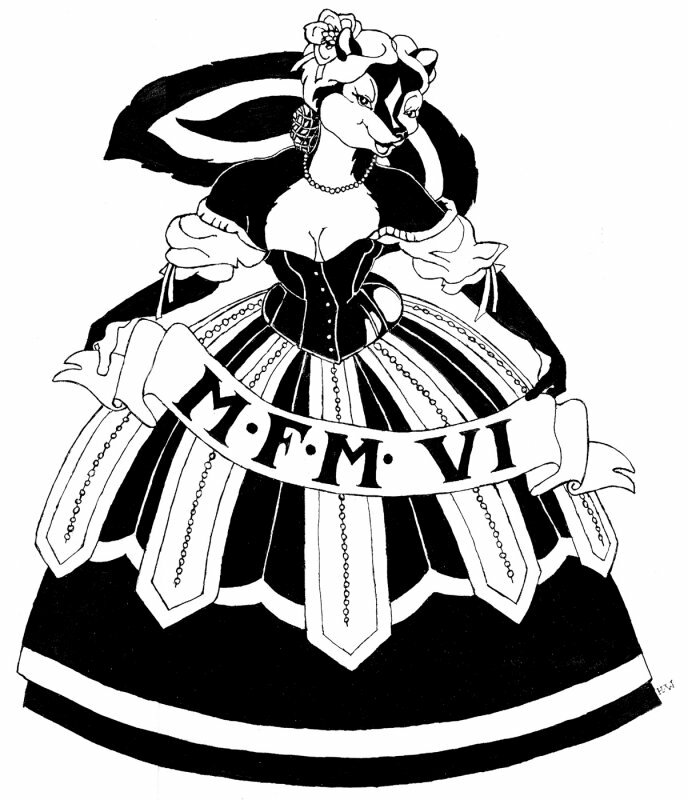 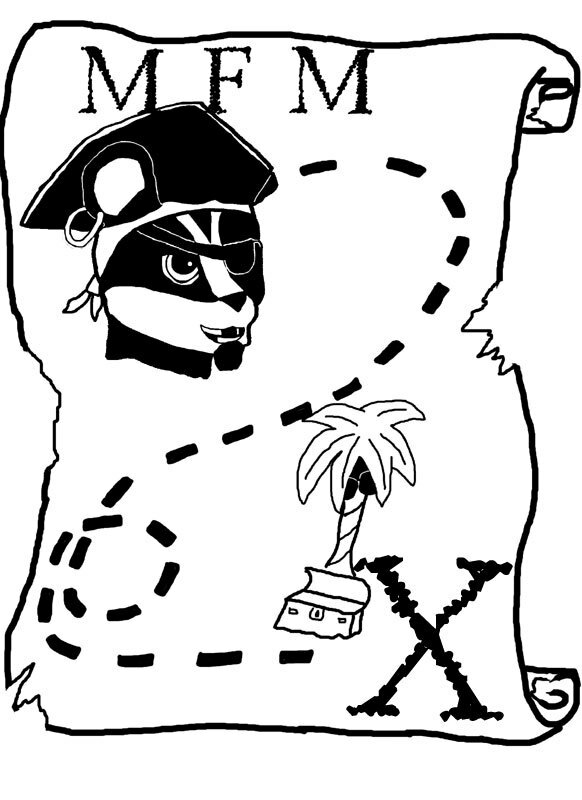 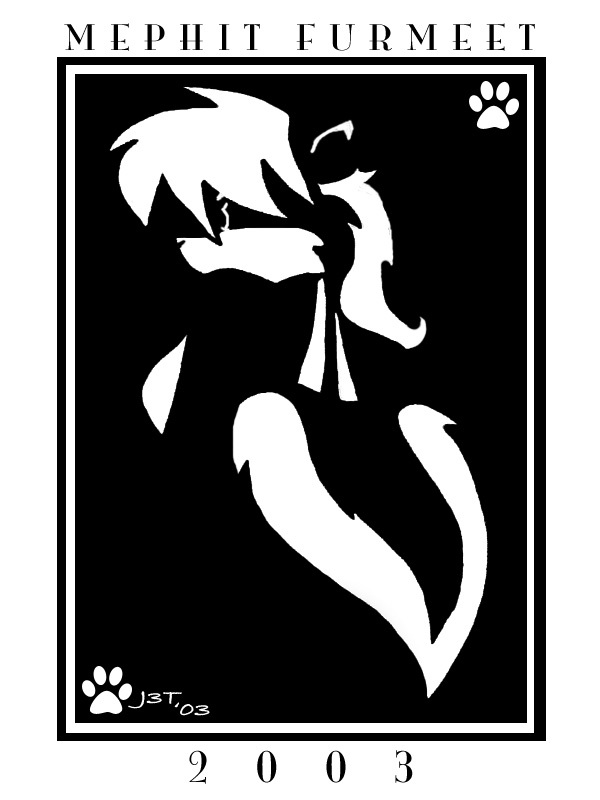 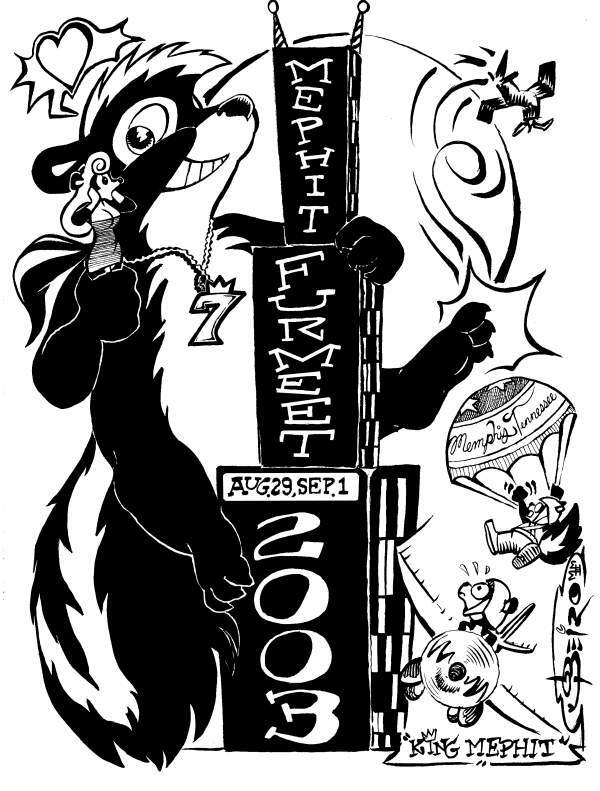 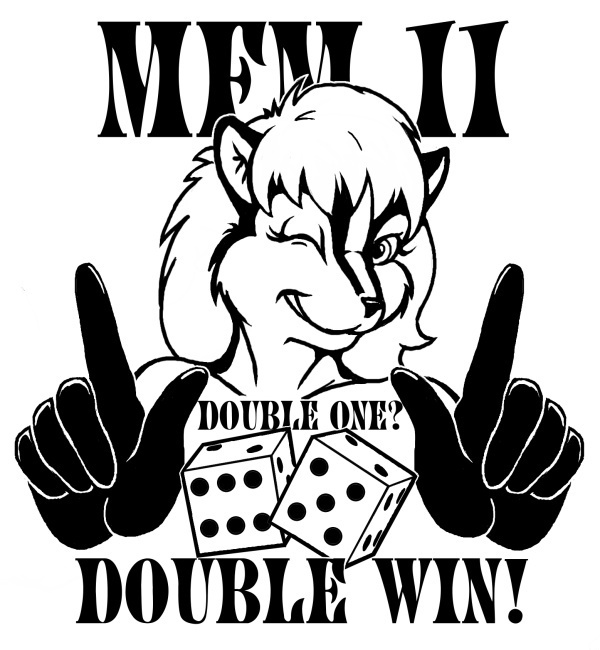 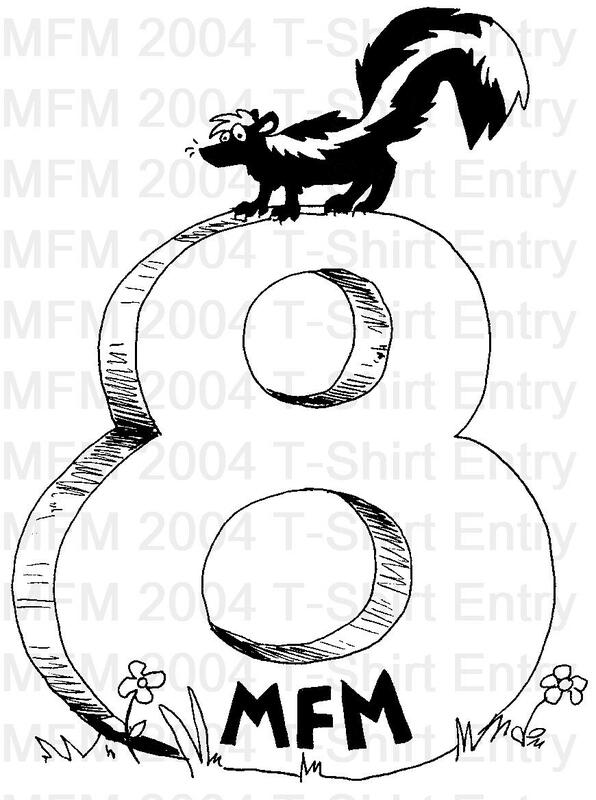 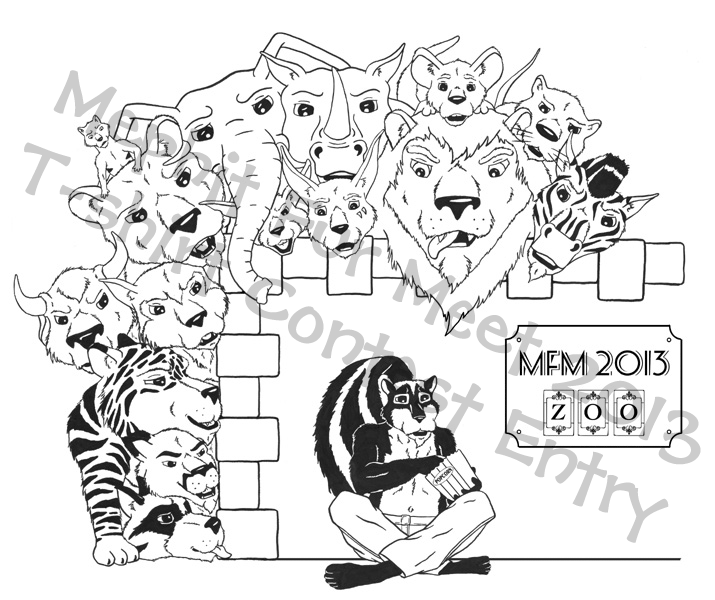 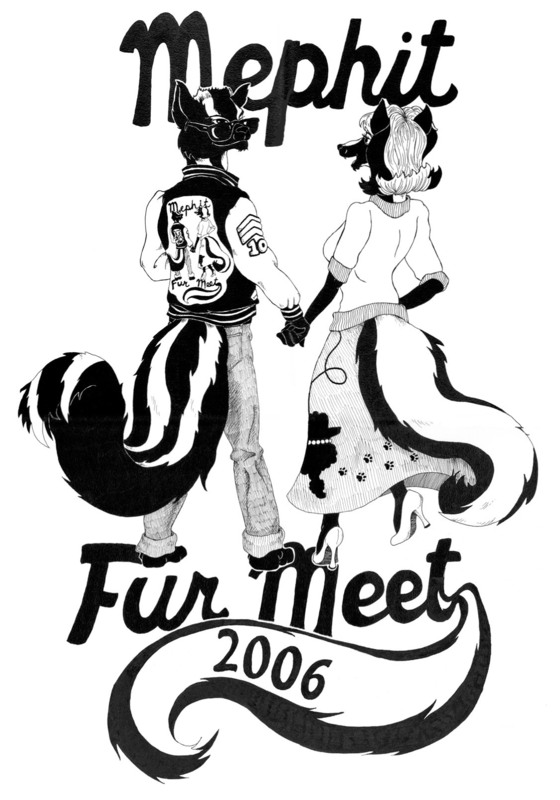 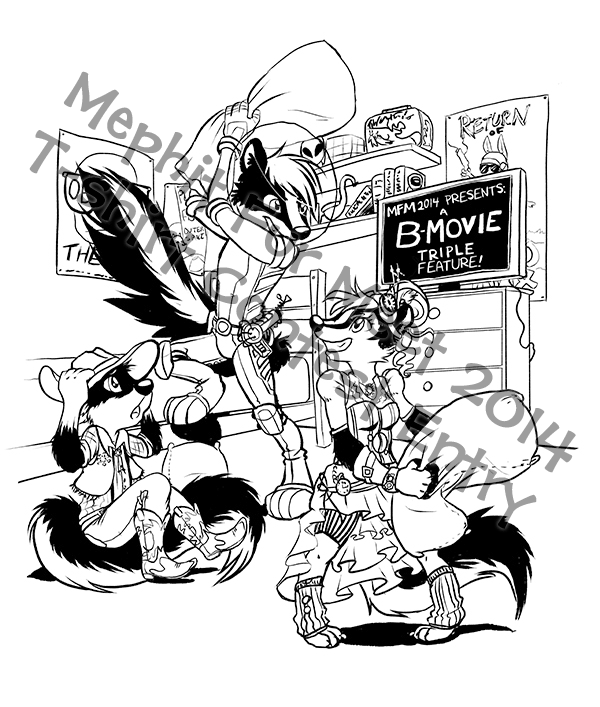 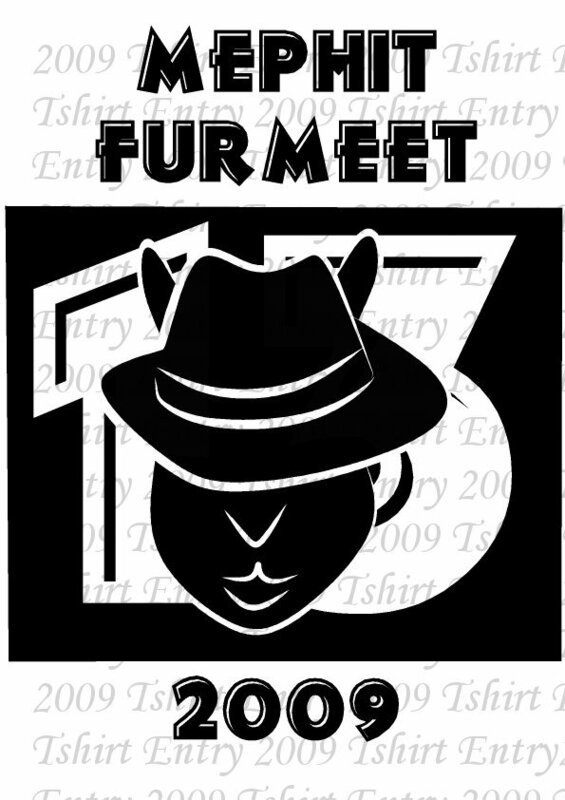 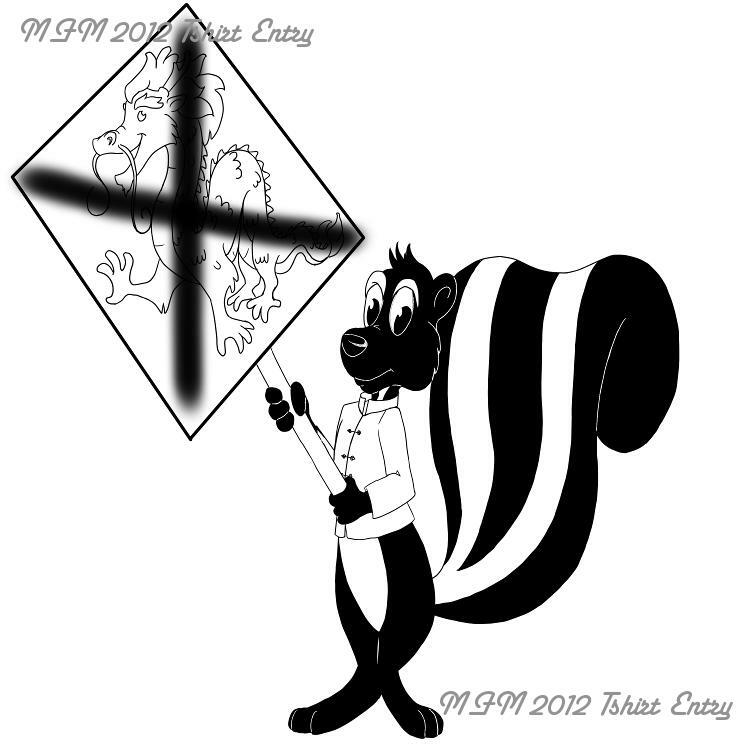 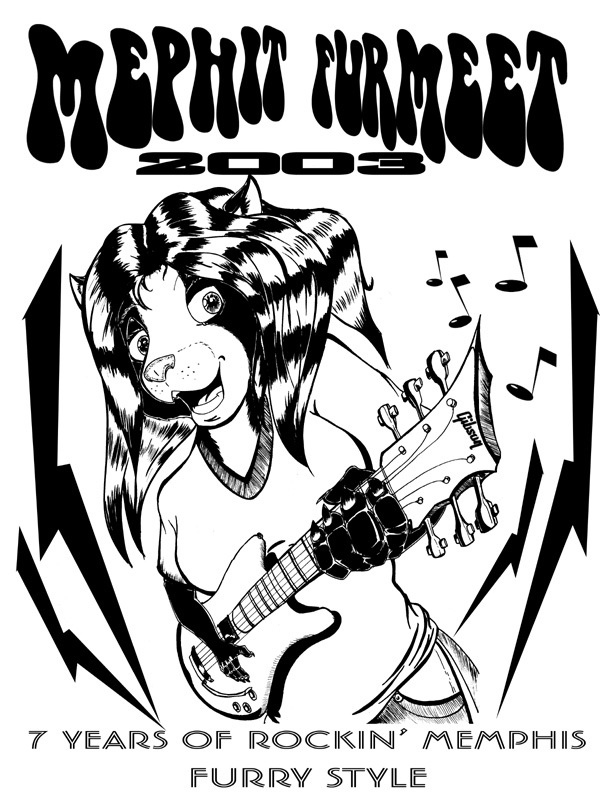 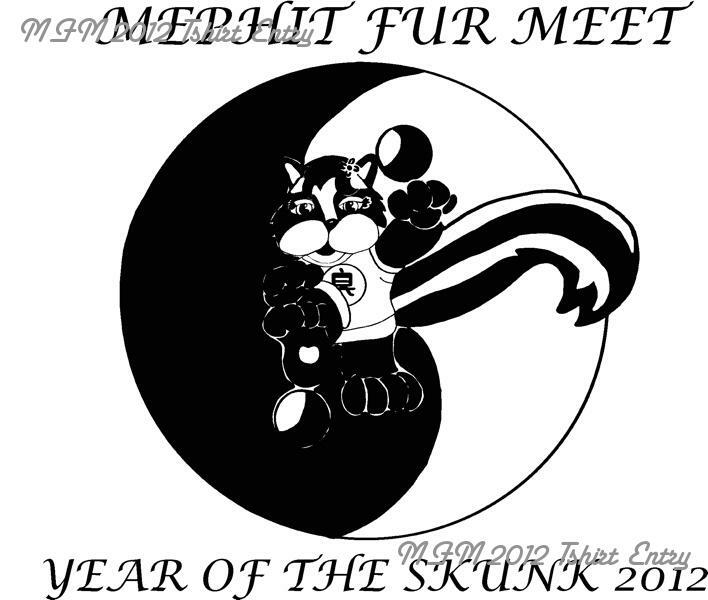 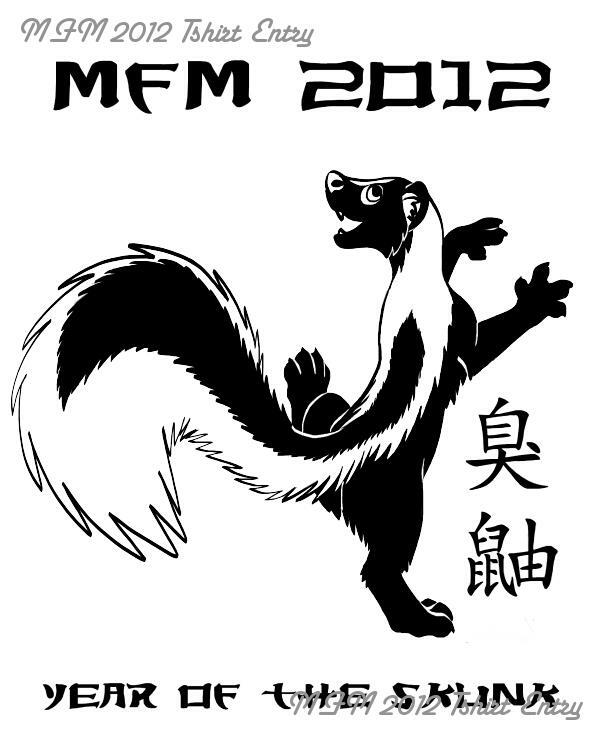 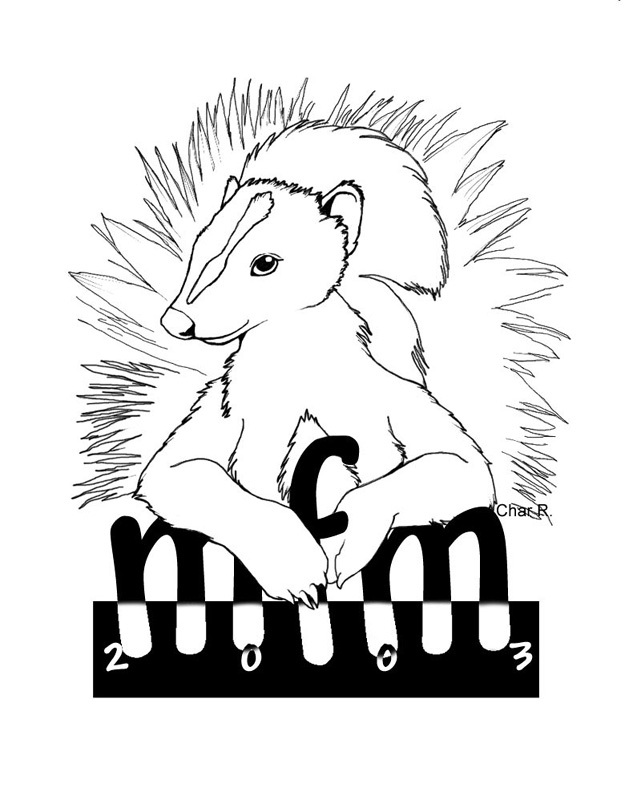 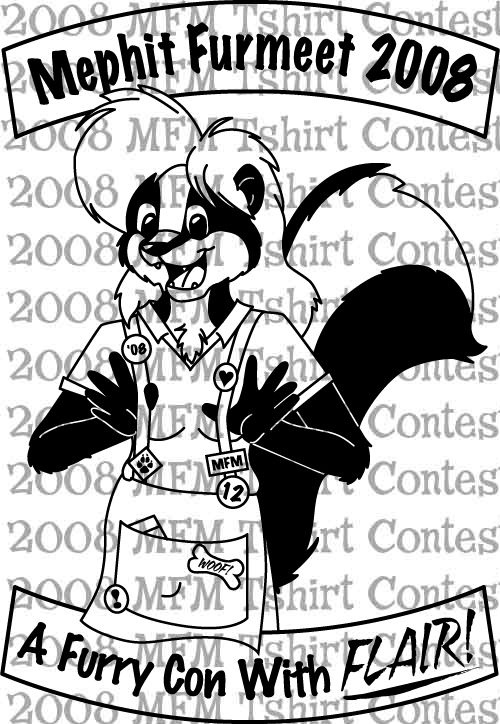 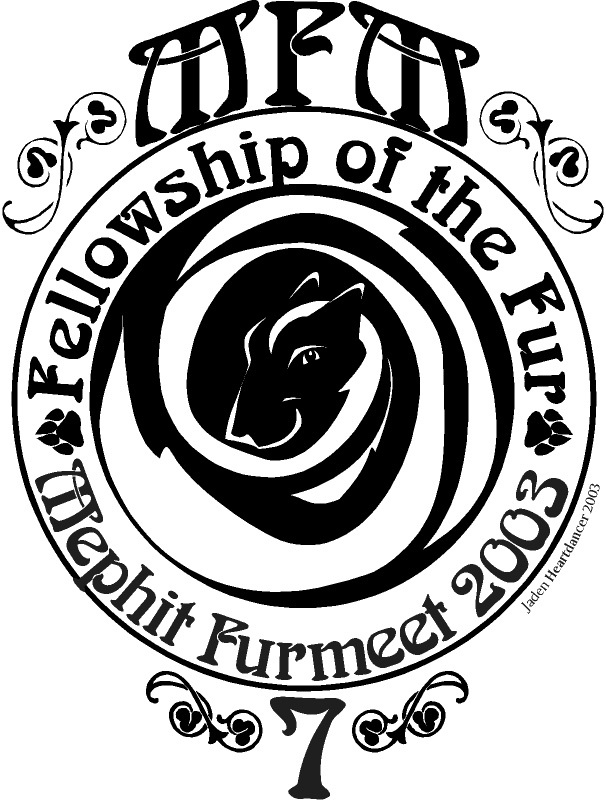 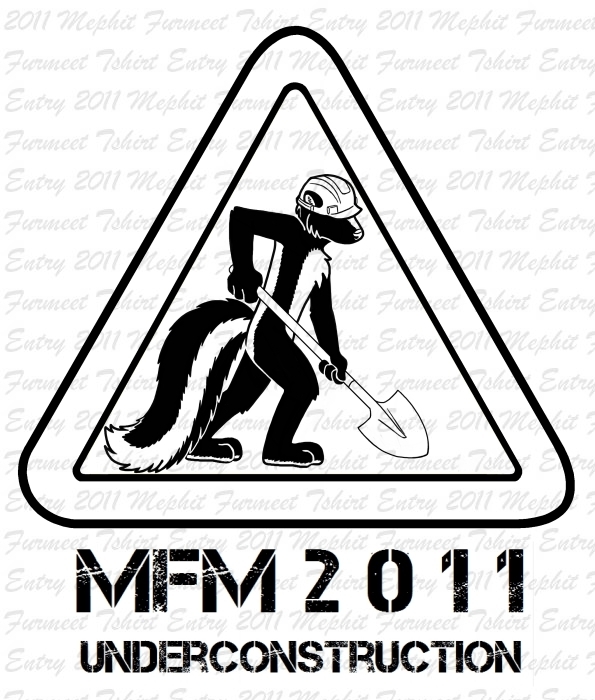 While we no longer do it today, for many years, Mephit Fur Meet ran a contest to determine the artwork for the con t-shirt. 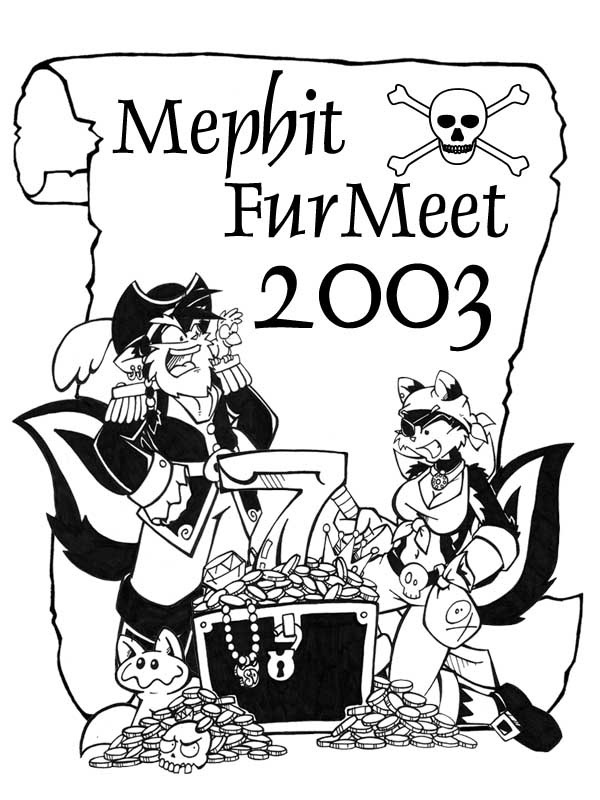 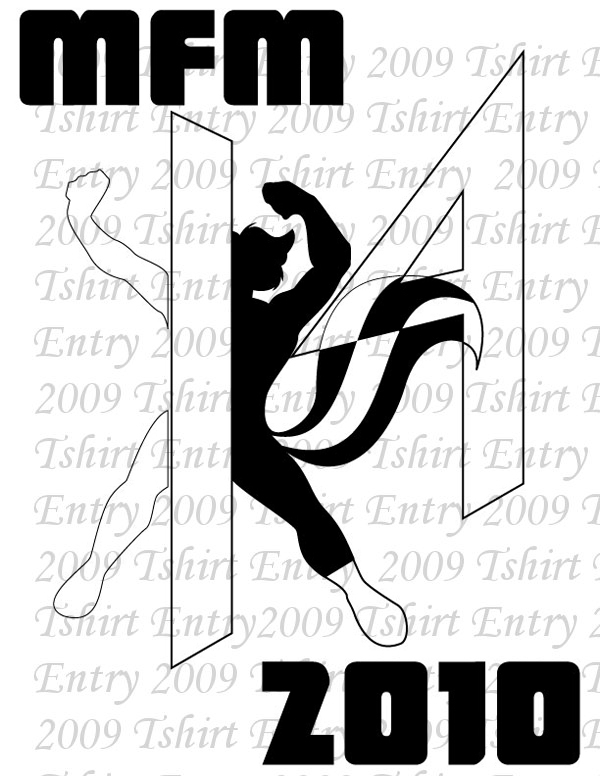 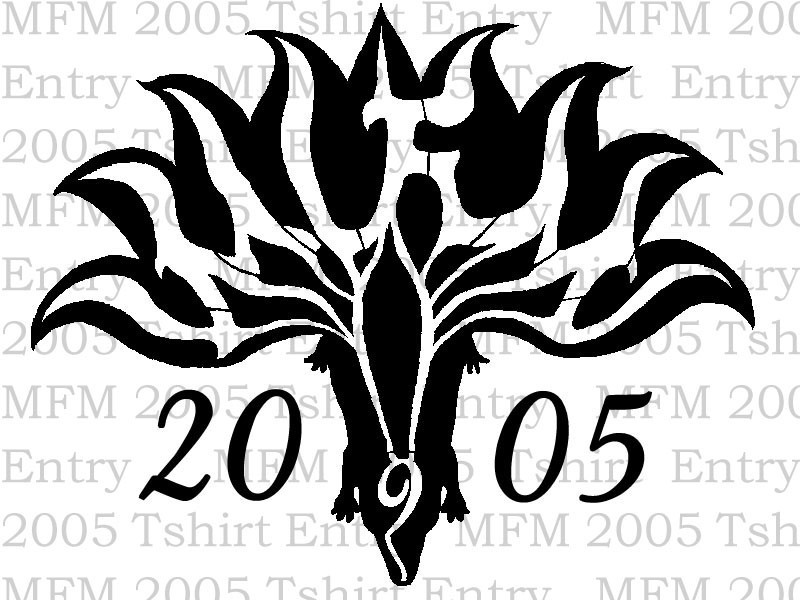 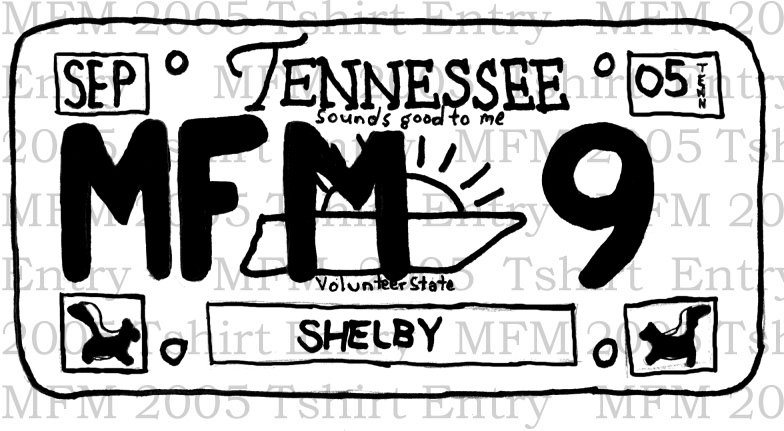 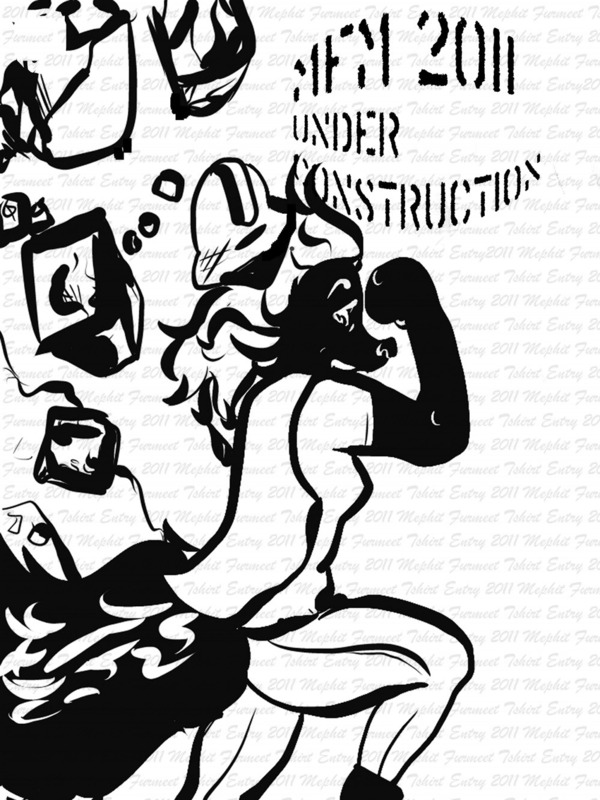 Each year there were many entries entered and folks that had registered were allowed to vote on the artwork they wanted on the shirt that year. 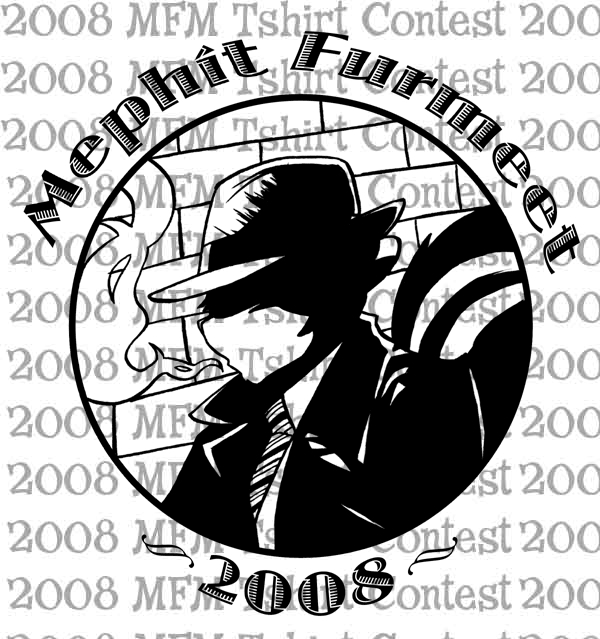 Here is a collection of all of the entries we received, from 2002 until the last year in 2014. 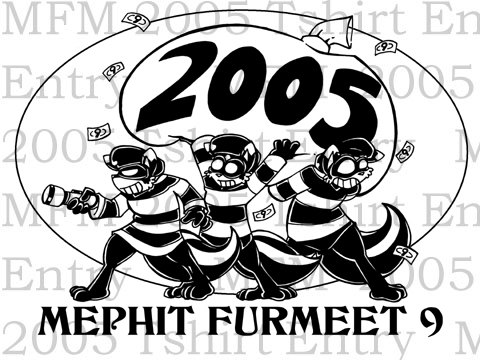 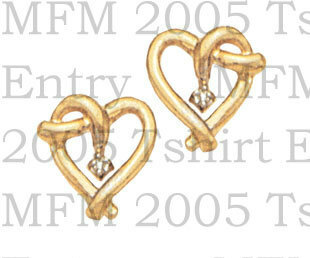 They’re in random order for your trip down memory lane!